Caverion has received the ISO/IC 27001 information security certificate. The certificate is a significant milestone for Caverion, and emphasises Caverion’s commitment to provide high quality services to our customers. Caverion Corporation's Interim Report for January-March 2019 will be published on Friday, 26 April 2019, at approximately 8:00 a.m. (Finnish Time, EEST). The stock exchange release and presentation materials in Finnish and in English will be published at that time on the company's website at www.caverion.com/investors. The city of Ylivieska has selected the alliance formed by Skanska and Caverion to implement a life cycle project for two schools. Caverion Corporation (“Caverion” or the “Company”) announced on 21 March 2019 that it had issued EUR 75 million senior unsecured fixed rate notes with maturity on 28 March 2023 (the “New Notes”). The Finnish Financial Supervisory Authority has today on 29 March 2019 approved the listing prospectus of the New Notes. Caverion Corporation’s Annual General Meeting, which was held in Helsinki today on 25 March 2019, adopted the Financial Statements and the consolidated Financial Statements for the year 2018 and discharged the members of the Board of Directors and the President and CEO from liability. In addition, the Annual General Meeting resolved on the use of the profit shown on the balance sheet and the payment of dividend, the composition of members of the Board of Directors and their remuneration, the election of the auditor and its remuneration as well as authorised the Board of Directors to decide on the repurchase of the Company’s own shares and/or acceptance as pledge of own shares as well as share issues. Caverion Corporation (“Caverion” or the “Company”) issues new EUR 75 million senior unsecured fixed rate notes with maturity on 28 March 2023 (the “New Notes”). The four year New Notes carry a fixed annual interest rate of 3.250 per cent per annum, and have an issue price of 100 per cent. The proceeds from the New Notes will be used for partial redemption of the hybrid notes issued on 16 June 2017, for general corporate purposes, and investments in accordance with Caverion’s strategy, including acquisitions. Caverion Corporation (“Caverion” or the “Company”) is considering issuance of senior unsecured fixed rate notes in the minimum amount of EUR 75 million (the “New Notes”). The potential issue is expected to be launched in the near future subject to market conditions. The Company also announces a voluntary cash tender offer (“Tender Offer”) for its EUR 100 million hybrid notes (the “Capital Securities”) issued on 16 June 2017 (ISIN: FI4000266614) according to the terms and conditions set out in the tender offer memorandum dated 14 March 2019. The rationale of the transactions is to extend the maturity profile and decrease financing costs. The proceeds from the New Notes will be used for partial redemption of the Capital Securities, for general corporate purposes and investments in accordance with Caverion’s strategy, including acquisitions. Caverion supplements the stock exchange release that was published on 12 March 2019 at 5.00 p.m. EET with regard to the transaction details and financial information on the target’s prior profit development and financial position. 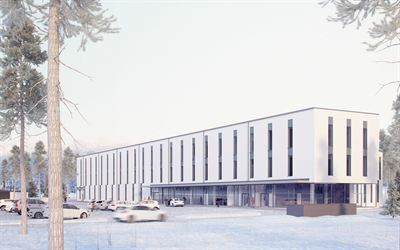 The Northern Ostrobothnia Hospital District has chosen Caverion and Skanska as its alliance partners for the first phase of the Future Hospital OYS 2030 project, concerning the development of the so-called B-building. Caverion has signed an agreement with Maintpartner Holding Oy to acquire all of the shares in Maintpartner Group Oy including its subsidiaries in Finland, Poland and Estonia. The acquisition excludes Maintpartner Group Oy’s subsidiary in Sweden. Maintpartner Holding Oy is owned by the funds managed by the Finnish private equity company CapMan Buyout. Borealis Polymers Oy has selected Caverion to continue as its maintenance partner for its Kilpilahti production plants in Porvoo, Finland. The agreement marks the continuation of the previous eight contract years. The value of the contract is not disclosed. 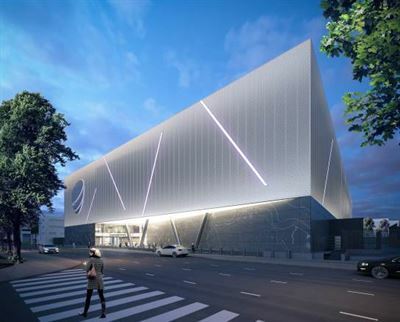 Caverion is to deliver Total Technical Solutions, covering all building systems, for a new building of Technopolis campus in Vilnius, Lithuania. 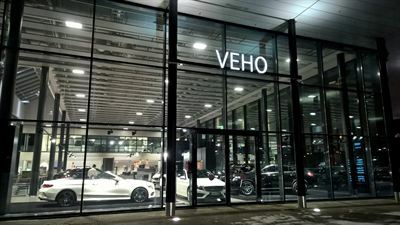 The agreement has been signed with construction company Veikmės Statyba. The value of the agreement is approximately EUR 10 million. Ari Lehtoranta, President and CEO, has received shares in Caverion Corporation as a share-based remuneration on 28 February 2019 pursuant to the Group’s Restricted Share Plan for key employees. Caverion has completed the sale of its Polish subsidiary to STRABAG PFS Austria GmbH. The sale was announced on 19 December 2018 and becomes effective today, 28 February 2019. The Board of Directors of Caverion Corporation has decided on a directed share issue without payment for Caverion’s Restricted Share Plan 2016–2018 reward payment. The decision on the directed share issue without payment is based on the authorisation granted to the Board of Directors by the Annual General Meeting of Shareholders held on 26 March 2018. Caverion Corporation's Annual Review 2018 has been published in English and Finnish. The Annual Review includes greetings from the CEO, Board of Directors' Report, the consolidated financial statements (IFRS) and the parent company financial statements (FAS) as well as the Auditors' report, among others. Caverion and Trevian Asset Management have signed a cooperation agreement for technical management services in a valuable property owned by BlackRock located at Erottajankatu 2 in Helsinki. Caverion has won a contract with the general contractor HENT to deliver all building systems for the renovation of the Norwegian School of Economics in Bergen, Norway. The value of the contract is EUR 9 million. The developer for the project is Statsbygg, Norwegian government agency. This is a correction to Caverion Corporation’s stock exchange release published on 15 February 2019 at 12.30 p.m. EET regarding a positive arbitration decision awarded to Caverion Industrial Solutions. The release incorrectly stated that the award and related legal and other costs and interest income would fall under “Items affecting comparability (IAC)” as part of the consolidated adjusted EBITDA. Caverion Industria Oy has been awarded a positive arbitration decision relating to the third and final large project from Caverion’s risk list for 2018. Based on the decision, Caverion will be paid about EUR 8.9 million plus interest as of 19 May 2016 until full payment, as well as the related administrative expenses, legal costs and fees. The existing unprovided receivable related to the project at Caverion’s balance sheet was EUR 3 million at year-end 2018. Kari Sundbäck, M.Sc. (Eng. ), born 1971, will be appointed as Caverion’s Head of Transformation and Supply Operations and member of the Group Management Board at the latest as of 8 May 2019. He will report to Ari Lehtoranta, President and CEO of Caverion Group. 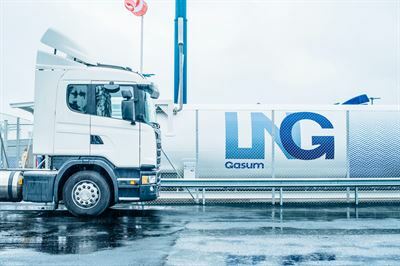 Caverion and energy company Gasum have agreed about partnership concerning maintenance and monitoring services at gas filling stations offering fuel for light and heavy-duty vehicles. The cooperation will initially start in Finland and Sweden and will be expanded to Norway later this year. Climate change is a more actual topic than ever. The Intergovernmental Panel on Climate Change (IPCC) report demands limiting global warming to 1.5 degrees. There is a lot the building sector can do to battle climate change, here are just some examples. 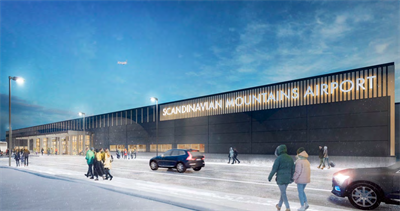 In the midst of mountains, Scandinavian Mountains Airport is ready for landing in December 2019. 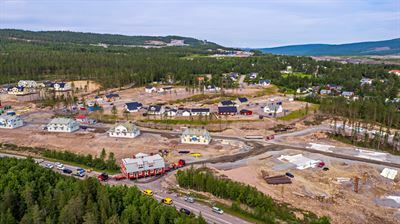 The new facility is being built on the previous site of the small Sälen airfield on the Swedish side of the border together with Norway. All the infrastructure is new and state of the art. Why should maintenance be taken into account already at the concept stage? This article was originally posted on Caverion Finland's blog by Ville Tamminen. 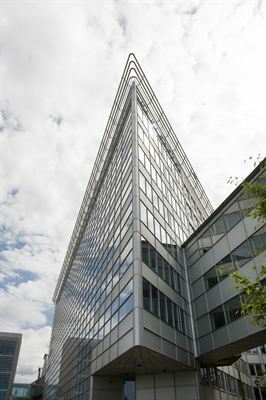 Caverion’s new head office is now located in Vantaa, Finland. The visiting address is Torpantie 2. 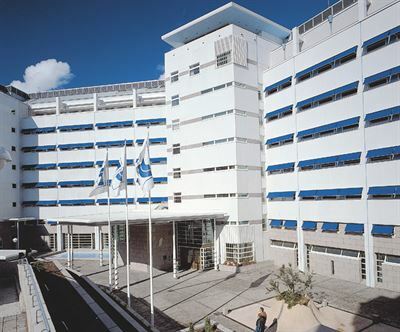 Modernised premises bring together almost all Caverion employees working in the Helsinki metropolitan area, totaling approximately 450 people (Division Finland, Industrial Solutions and Group Functions). Caverion’s Remote Center and Help Desk have located in the same premises already earlier. Caverion has completed the sale of its piping and tank business and the related Ylivieska workshop to Recion Oy, a company controlled by a fund managed by Mimir Invest. The sale was announced on 23 November, 2018 and becomes effective on 31 December, 2018. Caverion has signed an agreement to sell the entire share capital of its subsidiary in Czech Republic. The buyer is KART, spol. s r.o., part of conglomerate CEZ Group. Caverion announced earlier this week that it is selling its operations also in Poland. Caverion has signed an agreement to sell the entire share capital of its Polish subsidiary to STRABAG PFS Austria GmbH, part of the publicly listed construction and technology group STRABAG SE. Caverion and real estate developers Centrum Projektentwicklung GmbH in Düsseldorf and B + L Hamburg have signed a project agreement for the new office and retail building “KÖ-Bogen II” in Düsseldorf, Germany. Caverion will act as the technical general contractor and implement Air Conditioning, Cooling, and Heating & Sanitation. Caverion will also be responsible for the project execution plan. The value of the contract is approximately EUR 12 million. Caverion's Board of Directors has approved the establishment of a new share-based long-term incentive plan for key employees of the Group. The new plan is based on a performance share plan (PSP) structure. The Board has at the same time approved the commencement of a new plan period 2019-2021 in the Restricted Share Plan (RSP) structure, which is a complementary share-based incentive structure for specific situations. Technopolis has selected Caverion as its partner responsible for property maintenance services for its campuses in Finland, Sweden and Norway. The service agreement covering campuses in Helsinki, Espoo, Vantaa, Gothenburg and Oslo starts at the beginning of 2019. The value of the contract is not disclosed. 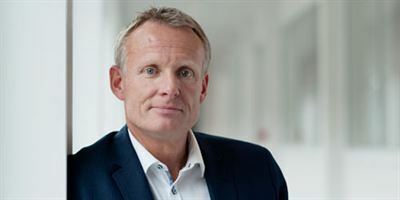 Carsten Sørensen (born 1972) will be appointed as the Head of Caverion Division Denmark as of 1 January 2019. Carsten knows Caverion very well, as he used to work in Caverion Division Denmark-Norway as a Vice President, Industrial Solutions during 2015−2017. He re-joins Caverion from the position of Group CEO at Qubiqa A/S. Carsten will report to Ari Lehtoranta, President and CEO of Caverion Group and will also be a member of the Group Management Board. 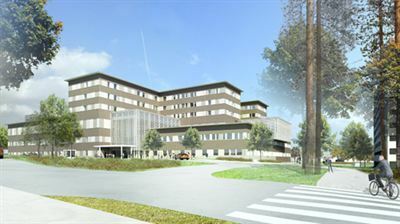 Caverion will implement electrification for the new Turku T3 University Hospital. The agreement, worth around EUR 15.6 million, was signed with the Hospital District of Southwest Finland. 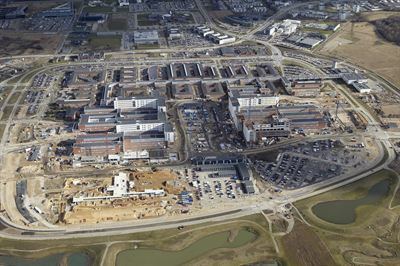 Caverion announced earlier in September that it will implement also heating, sanitation, ventilation and air conditioning systems for the hospital. Caverion Suomi Oy has signed an agreement to acquire the entire share capital of Jetitek Oy from the management of the company. 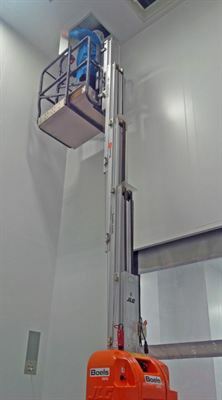 Jetitek is a Finnish service company specialised in energy-efficient cooling solutions that offers total deliveries of refrigeration systems and their design and dimensioning as well as maintenance, repair, and alterations. Werner Kühn, the current Head of Caverion Division Germany, will hand over his office to Frank Krause, the current Head of Services business and Sales in Caverion Germany, at the end of the current financial year. Werner Kühn has been in charge of Caverion Germany for four years. He will continue in his current role until the end of year 2018 and thereafter, assume a role of internal consultant until the end of June 2019. 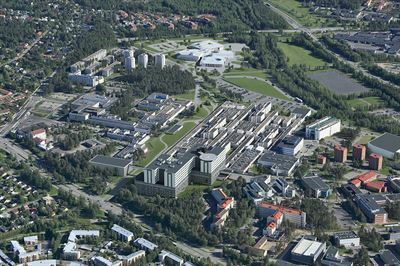 Caverion and Locum AB have signed a new significant Managed Services agreement covering Karolinska University Hospital in Huddinge, southern Stockholm County. The contract starts in the second half of 2019 and runs for 5 years, with an option for an additional 3 years. The value of the contract is approximately EUR 5 million annually. Caverion Corporation's Interim Report for January−September 2018 will be published on Thursday, 25 October 2018 at approximately 8.00 a.m. Finnish time (EEST). The stock exchange release and presentation materials in Finnish and in English will be published at that time on the company's website at www.caverion.com/investors. Caverion and Samla Capital Oy have agreed on providing Managed Services to properties owned by Samla Capital. Caverion is to deliver a building technology project for the T3 hospital, which will be an extension to the Turku University Hospital. The agreement has been signed with the Hospital District of Southwest Finland. The value of the contract is EUR 14.7 million. Caverion has won a contract with the general contractor Veidekke to deliver building systems for two new environmentally friendly office buildings in Oslo, Norway. Caverion’s installations will include Heating & Sanitation, Cooling, and Sprinklers. The value of the contract is not disclosed. 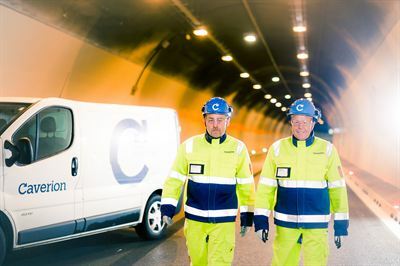 Caverion has signed an agreement with the VALTARI alliance on supplying technical systems for tunnels on Main Road 12, Lahti Southern Ring Road, consisting of the part closest to Lahti. The VALTARI alliance is formed by the Finnish Transport Agency, the City of Lahti, the municipality of Hollola, Skanska Infra Oy, and Pöyry Finland Oy. The value of the agreement is not disclosed. Caverion Corporation's Half-year Financial Report for January−June 2018 will be published on Wednesday, 25 July 2018 at approximately 8.00 a.m. Finnish time (EEST). The stock exchange release and presentation materials in Finnish and in English will be published at that time on the company's website at www.caverion.com/investors. Caverion has signed an agreement with HENT Danmark A/S on the delivery of building systems for a new hotel in the old Central Post building in Copenhagen, Denmark. Caverion will be responsible for the disciplines of Heating & Sanitation and Sprinkler systems. The value of the agreement is not disclosed. 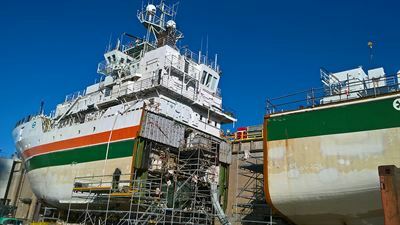 Research vessel Aranda is going through an extreme makeover at the Rauma shipyard in Finland. Its length is extended by seven metres and its technology is modernised, making it an eco-friendly vessel. A total of 9,524,000 new shares subscribed for in Caverion Corporation’s directed share issue have been entered into the Trade Register on 18 June 2016. After the registration of the new shares, the Company will have 138,920,092 shares in total of which 3,264,451 shares are held by the Company. Caverion Corporation (“Caverion” or the “Company”) directs a share issue (the “Share Issue”) of 9,524,000 new shares in the Company (the “Shares”) to institutional investors. The Share Issue was conducted through accelerated book-building carried out by Nordea Bank AB (publ), Finnish Branch and OP Corporate Bank plc (“Nordea” and “OP”). The new hospital in Kainuu, Finland has been selected as the best BIM project in the Tekla BIM Awards 2018 Finland and Baltics. The results of the competition organised by the software company Trimble Tekla were announced and winners were awarded on 14 June 2018 in the Tekla BIM Awards event in Helsinki, Finland. The competition evaluates the utilisation of information modelling in the design, manufacturing and implementation of building projects. Caverion Corporation (“Caverion” or the “Company”) intends to preliminarily offer new shares in the Company (the “Shares”) to institutional investors in aggregate subscription price of approximately EUR 60 million in an accelerated book-built share issue in deviation from the shareholders’ pre-emptive subscription right (the “Share Issue”). The Share Issue will be carried out within the limits of the authorisation given to the Company’s Board of Directors by the Annual General Meeting on 26 March 2018. Caverion has settled for its part with the Bundeskartellamt (German Federal Cartel Office) the cartel case investigated by the authority since 2014. The investigation concerns several companies providing technical building services in Germany. Caverion Deutschland GmbH (and its predecessors) has been found to have participated in anti-competitive practices between 2005 and 2013. Caverion Deutschland GmbH will be imposed a fine of maximum EUR 40.8 million. Caverion has signed an agreement on managing and implementing a building systems project for two demanding renovation sites in the Vallila district of Helsinki with Consti Korjausurakointi, which is the project management contractor in this undertaking. The value of the agreement is approximately EUR 16 million. Caverion has signed Energy Performance Contracting (EPC) agreement with Nordanstig Municipality and Nordanstig Bostäder AB in Sweden. The focus of the project is to significantly increase energy efficiency and improve indoor climate through modernisation of the heating and sanitation, ventilation & air conditioning, cooling, electricity and automation systems. The agreement covers 108,000 m2of publicly owned buildings. Golden Helmet awards are given in Caverion every year for an exceptional work for the company. 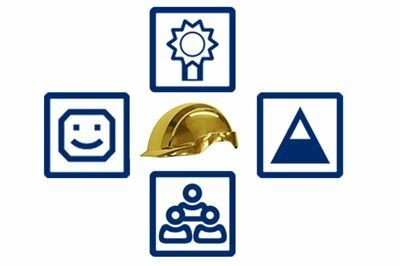 This year the Golden Helmet award categories were based on our strategy’s must-wins: Excellent customer experience, Best solutions, Top performance at every level and Winning team. Caverion has signed a contract with general contractor STRABAG for an ecologically innovative multi-use building complex "The Brick" at Wienerberg in Vienna, Austria. The value of the contract is approximately EUR 8.8 million. Caverion has won an agreement with Statsbygg in a partnership project to deliver advisory services, design and engineering, and project execution for a new Faculty of Health and Social Sciences at the Norwegian University of Science and Technology in Trondheim, Norway. The contract is signed with the general contractor Backe Trondheim, with a value of approximately EUR 12 million. The following changes in Caverion’s Group Management Board and organisation structure will take place. Caverion will publish the financial statements bulletin for 2018 on Tuesday February 5, 2019. Annual Report 2018 including the financial statements will be published during week 9/2019, at the latest. 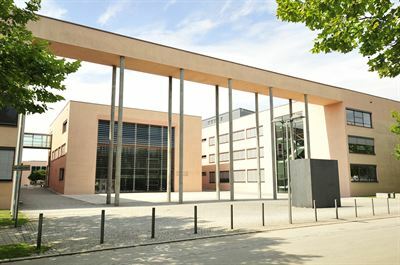 Caverion has signed a Managed Services contract with the Technical University (TU) of Ilmenau in Germany. 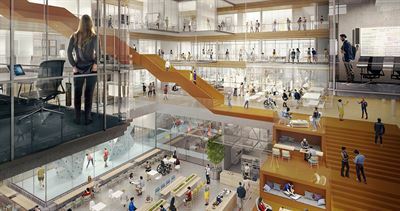 The scope of the contract includes the disciplines of heating, cooling, air conditioning and sanitation in nine university buildings, including two technology centres with clean rooms. In addition, Caverion is responsible for the operation of elevators and doors as well as the fire alarm system. The value of the contract is not disclosed. Caverion Corporation's Interim Report for January-March 2018 will be published on Tuesday, 24 April 2018, at approximately 8:00 a.m. (Finnish Time, EEST). The stock exchange release and presentation materials in Finnish and in English will be published at that time on the company's website at www.caverion.com/investors. Caverion Corporation’s Annual General Meeting, which was held in Helsinki today on March 26, 2018, adopted the Financial Statements for the year 2017 and discharged the members of the Board of Directors and the President and CEO from liability. In addition, the Annual General Meeting resolved on the use of the profit shown on the balance sheet and the payment of dividend, the composition of members of the Board of Directors and their remuneration, the election of the auditor and its remuneration as well as authorised the Board of Directors to decide on the repurchase of the company’s own shares and share issues. Caverion and Turun seudun puhdistamo Oy have signed an agreement on comprehensive technical maintenance and implementation of investment-based projects in Kakolanmäki wastewater treatment plant. As a result of the retrospective adoption of the new IFRS 15 accounting principles effective from 1 January 2018, Caverion’s revenue recognition will change. At the same time, Caverion will update its guidance for 2018 to comply with IFRS 15 accounting principles. Caverion continues as Patria’s partner in technical maintenance of buildings and properties and managed services. Caverion is delivering technical installation to the leading packaging material and solution company Billerud Korsnäs, which is constructing a new board machine at the facility in Gruvön, Sweden. Caverion is responsible for the technical installation of heating and sanitation, automation and process piping. The value of the contract is approximately EUR 10 million. 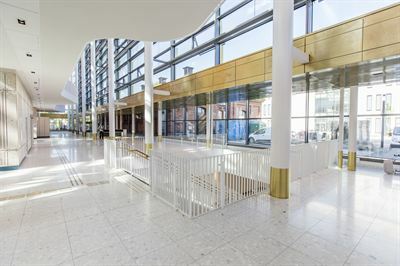 Caverion has been selected to provide facility management for the new office property Kasarmikatu 21 in the Helsinki city centre. The high-level office building completed in December 2017 offers premises for 750 employees. The property meets strict quality standards, and its tenants include Roschier Attorneys, Danske Bank, Taaleri Wealth Management, private equity company Sentica Partners and lunch restaurant Pihka and top restaurant Latva belonging to Juuri restaurants. 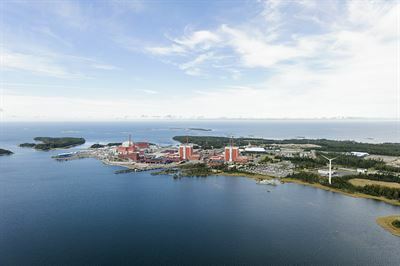 Caverion and Teollisuuden Voima (TVO) have signed an extension agreement on maintenance cooperation that covers maintenance services for Olkiluoto 1 and 2 nuclear power plant units in Eurajoki, Finland. The value of the agreement is not disclosed. A total of 87,912 own shares, out of the 320,035 shares that were not subscribed in the Caverion Corporation´s directed share issue against payment, have been subscribed based on the secondary subscription right at the share subscription price of EUR 6.37 per share. Information about the directed share issue against payment related to the key employee Matching Share Plan 2018-2022 of Caverion Corporation was published in a stock exchange releases on 7 February 2018 and on 1 March 2018. Caverion has signed a contract with the general contractor BAM Germany to deliver the ventilation systems for a new building of the Heinrich Heine University in Dusseldorf, Germany. The value of the contract is approximately EUR 7 million. Ari Lehtoranta, President and CEO, has purchased shares in Caverion Corporation on 1 March 2018 as part of the share-based incentive plan for key employees. The Board of Directors of Caverion Corporation has resolved on a directed share issue related to the implementation of the Matching Share Plan 2018-2022 for Group’s key employees. More detailed information about the launch of the plan, its terms and conditions and the related share issues was published in a stock exchange release on 7 February 2018. Caverion has entered into a contract with Austrian Insurance Fund for Civil or Public Servants (BVA) to renovate its headquarters in Vienna, Austria. Caverion Corporation has on 19 February 2018 received an announcement under Chapter 9, Section 5 of the Finnish Securities Markets Act, according to which the holding of Antti Herlin, a member of the Board of Directors in Caverion Corporation through Security Trading Oy (“Security Trading”, a company owned by Antti Herlin, business identity code 1948052-6) has decreased below the threshold of 15 per cent. According to the announcement, the holding decreased below the threshold on 19 February 2018 due to dilution related to Caverion Corporation's share issue to the Company itself. A total of 3,800,000 new shares were subscribed for in Caverion Corporation’s share issue directed to the company itself without payment. 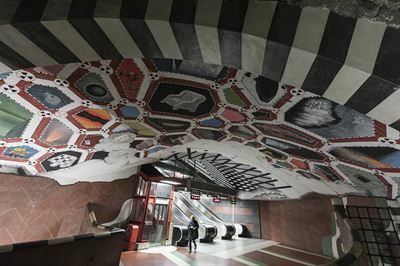 Since last year Caverion has been in charge of the service and planned maintenance of all the buildings within the metro system in Stockholm, Sweden. 100 stations and five train depots mean that 105 properties need to be maintained. The Board of Directors of Caverion Corporation has resolved to establish a new share-based incentive plan directed to the key employees of the Group (“Matching Share Plan 2018-2022”). The aim of the plan is to align the objectives of the shareholders and the key employees in order to increase the value of the company in the long-term, to encourage the key employees to personally invest in the company shares, to retain them at the company, and to offer them a competitive reward plan that is based on acquiring, receiving and holding the company’s shares. Notice is given to the shareholders of Caverion Corporation that the Annual General Meeting this year will be held on Monday 26 March 2018 at 10 a.m. Finnish time in the Conference Centre of Messukeskus, Exhibition and Convention Centre Helsinki, Messuaukio 1, 00520 Helsinki, Finland. The reception of persons who have registered to attend the Annual General Meeting and the distribution of voting slips will commence at 9 a.m. Finnish time. 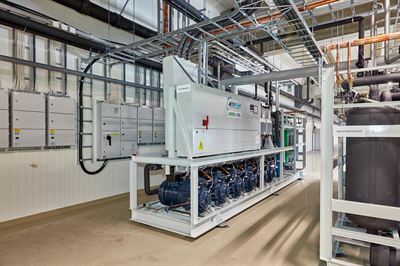 Refreshments will be served from 9 a.m.
Caverion has signed an agreement with the Municipality of Oslo, Norway to deliver technical solutions of Heating & Sanitation, and Ventilation for the expansion of a wastewater treatment plant in Oslo. The value of the contract is approximately EUR 11.5 million. Caverion has signed a contract with the general contractor Ed. 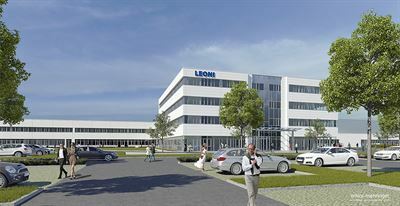 Züblin AG to deliver technical solutions for a new factory complex of Leoni near the city of Nuremberg. Leoni is a leading European supplier of cables and cable systems for the automotive industry and other industries. The project includes the disciplines of Heating & Sanitation, Cooling, and Ventilation. The value of the contract is approximately EUR 12 million. Caverion Corporation's Financial Statement Release for 2017 will be published on Wednesday, 7 February 2018, at 8:00 a.m. (Finnish Time, EET). The stock exchange release and presentation materials in Finnish and in English will be published at that time on the company's website at www.caverion.com/investors. Caverion and AstraZeneca, a global innovation-driven biopharmaceutical company, sign a Services agreement covering AstraZeneca’s research facility in Gothenburg and production facility in Södertälje, Sweden. The scope of the agreement includes disciplines Automation, Security & Safety, Heating & Sanitation, Cooling and Electricity. The value of the contract is not disclosed. Caverion's operations are not confined by the borders of Europe: our employees travel for work around the world. 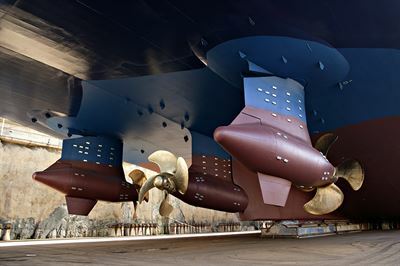 One job undertaken far from home is the electrical maintenance of the Azipod rudder propellers of giant cruise ships, a task completed together with ABB's project organisation. Caverion has completed the sale of its product business under the Krantz brand in Germany to STEAG Energy Services GmbH announced on November 27, 2017. The sale will become effective on December 31, 2017. Caverion's Board of Directors has approved the commencement of a new plan period for 2018-2020 in the share-based long-term incentive plan for the senior management of the Group. The share-based incentive plan consists of Performance Share Plan (PSP) as the main structure supported by Restricted Share Plan as a complementary structure for specific situations. Any potential share rewards will be delivered in the spring 2021. 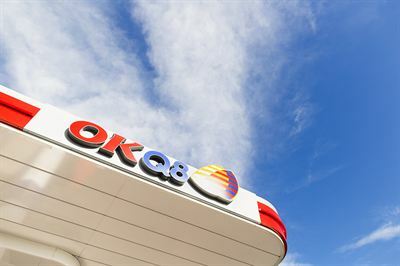 Caverion and OKQ8 Scandinavia have signed an agreement on Technical Maintenance of all technical systems in 202 manned and 160 unmanned gas stations and 90 other properties. The value of the contract is not disclosed. Caverion Corporation updates its guidance for 2017. Caverion now expects that its Group EBITDA excluding restructuring costs will grow clearly (15-30%) or significantly (30-100%) compared to last year in 2017 (2016: EUR 15.6 million). Previous profitability guidance was that the Group’s EBITDA excluding restructuring costs will more than double in 2017 (2016: EUR 15.6 million). The previous revenue guidance remains unchanged. Caverion estimates that the Group’s revenue will remain at the previous year's level in 2017 (2016: EUR 2,364 million). 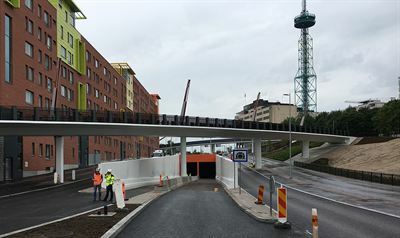 Caverion has made an agreement on technical tunnel systems with the VALTARI consortium, which is constructing the Lahti stretch of the city of Lahti's new southern ring road on Main Road 12. Parties to VALTARI consortium are Finnish Transport Agency, city of Lahti, municipality of Hollola, Skanska Infra Oy and Pöyry Finland Oy. Juha Mennander, born 1965, M.Sc. (Tech. ), has been appointed as Head of Market Operations and a member of the Group Management Board of Caverion Corporation as of January 1, 2018. He will report to Ari Lehtoranta, President and CEO of Caverion. Caverion has signed an agreement to sell its product business under the Krantz brand in Germany to STEAG Energy Services GmbH, a German company providing integrated solutions in the fields of electricity and heat production and engineering services. A total of 215 solar panels were installed on two roofs of Varma Mutual Pension Insurance Company headquarters in September. The solar power system continues Caverion's cooperation with Varma in renewable energy. Last year Caverion delivered solar power systems to two other properties of Varma. Caverion Corporation’s stock exchange release of November 8, 2017 concerning notification of manager’s transactions of Michael Rosenlew contained two errors. The transaction was made by Grevermond Investments Limited, a closely associated legal person of Michael Rosenlew. The other corrected information concerns the transaction trading venue. The notification including the corrected information is presented below. Caverion has launched IoTFlex, a maintenance service that will take industrial productivity and preventive maintenance to the next level. IoTFlex uses smart sensors to measure the actual condition of machines and employs real-time analytics to predict the occurrence of possible faults. Caverion has signed a contract with ASFINAG (Autobahnen- und Schnellstraßen-Finanzierungs-Aktiengesellschaft) for the project execution of renovation of the safety equipment of Perjentunnel in Tyrol, Austria. The contract covers the following technical systems: the renewal of the medium voltage system, tunnel ventilation, tunnel radio, electrical and control systems. The value of the contract is EUR 13 million. Caverion is renewing its division structure by separating its Denmark-Norway division operations into two divisions Denmark and Norway. Since January 2016, Caverion Denmark and Caverion Norway have been operating as one division headed by Knut Gaaserud, Executive Vice President & CEO, Division Denmark-Norway. As a result, the following changes will take place as of January 1, 2018. Caverion launches its new strategy and sets new financial targets ahead of the Capital Markets Day, which will be held tomorrow on November 7, 2017 in Helsinki, Finland. Caverion and Enegia have made a partnership agreement on providing energy efficiency services and entered into an asset deal covering remote property management. In the transaction, Enegia's remote management business and the associated personnel will transfer to Caverion Finland on 1 November 2017. The value of the asset deal is not disclosed. Caverion launches ServiFlex+, a renewed concept for managing technical installations in buildings. 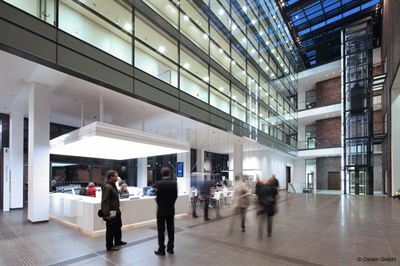 ServiFlex+ allows achieving energy savings up to 20% by optimising building technology with remote monitoring. The development of ServiFlex+ is based on the vast experience Caverion has from building technology in more than 30,000 different facilities in 12 European countries. Caverion Corporation's interim report for January−September 2017 will be published on Friday, October 27, 2017 at approximately 9.00 a.m. Finnish time (EEST). The stock exchange release and presentation materials in Finnish and in English will be published at that time on the company's website at www.caverion.com/investors. Caverion Corporation has updated its Disclosure Policy, which describes Caverion’s key principles and practices for communication with the capital markets participants. The updates are of technical nature. 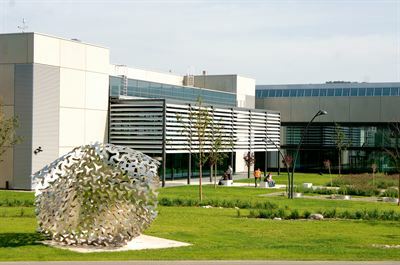 Caverion renewed its Managed Services contract for Deggendorf Institute of Technology in Germany. A four-year contract was signed with the client, which belongs to Caverion’s public client segment. The value of the contract is not disclosed. 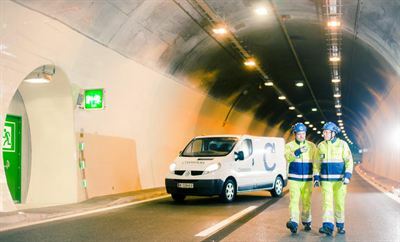 Caverion is delivering technical systems and a telematic system for managing traffic in the new Teollisuuskatu tunnel in Central Pasila in Helsinki, Finland. 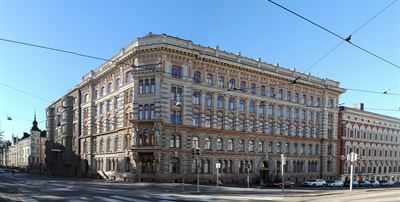 The delivery is valued at approximately EUR 5.4 million and the client is the City of Helsinki. Caverion has signed a Managed Life Cycle project contract with general contractor A. Enggaard for a new office building in Aarhus, Denmark. The value of the project for Caverion is EUR 31 million, making it one of the largest public-private partnership (PPP) agreements for Caverion. Caverion invites analysts, institutional investors and media to its Capital Markets Day in Helsinki, Finland. The event will take place on Tuesday, November 7, 2017 at 9.00 a.m.−3.30 p.m. local time (EET) at Hotel Clarion in Helsinki (Tyynenmerenkatu 2, 00220 Helsinki). The participants are also invited to a welcome dinner with the management at the same place the evening before. Michael Højgaard (born 1961) has been appointed as the Managing Director of Caverion Denmark as of September 1, 2017. Since January 2016, Caverion Denmark and Caverion Norway have been operating as one division headed by Knut Gaaserud, Executive Vice President & CEO, Division Denmark-Norway. Højgaard will report to Knut Gaaserud. Caverion delivers building systems for a shopping center in Bottrop, Germany. Caverion’s technical installation work will cover the disciplines of Ventilation & Air Conditioning, Heating & Sanitation, Cooling, and Security & Safety. After a comprehensive renovation, the building complex will also accommodate a hotel. The value of the contract is approximately EUR 4.8 million. Caverion Corporation's half yearly report for January−June 2017 will be published on Thursday, July 20, 2017 at approximately 9.00 a.m. Finnish time (EEST). The stock exchange release and presentation materials in Finnish and in English will be published at that time on the company's website at www.caverion.com/investors. 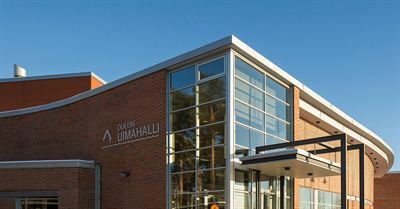 Oulu Facilities Centre, a public utility, has selected Caverion as its partner to improve energy efficiency in buildings. Over the 3.5-year agreement period, building systems will be modernised in the City of Oulu’s facilities through ESCO projects. The measures will be funded with the savings generated by the modernisations. The total value of the contract to Caverion will be approximately EUR 4 million by 2020. 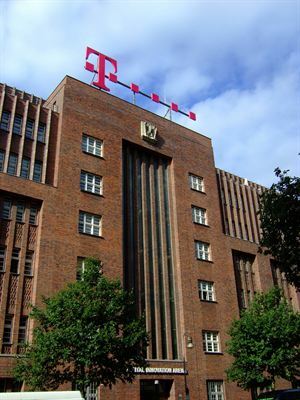 Caverion delivers Total Technical Solutions covering all building systems for the renovation of the telecommunications company Deutsche Telekom’s office in Berlin. The customer in the project is the facility management company Strabag Property and Facility Services. The value of the contract is approximately EUR 12 million. Sakari Toikkanen (born 1967, Lic (Tech.) has been appointed as Head of Division Industrial Solutions of Caverion Corporation as of June 21, 2017. He will assume the position until a new permanent head of division is hired. The recruitment process will be launched immediately. Caverion implements building systems for the rehabilitation of an office building known as “the big workshop” occupied by the Finnish Broadcasting Company (YLE) in the Pasila district in Helsinki. The client in the project is the main contractor FIRA Oy, and the value of the contract is EUR 11.7 million. The developer is YLE Pension Fund. Caverion has signed an agreement with the general contractor LAB to deliver a Large Project with Total Technical Solutions for the expansion of a shopping mall in Bergen, western Norway. The contract has a volume of approximately EUR 11.2 million. Caverion has been awarded with a four-year Managed Services contract with the German Aerospace Center for its location in Stuttgart. From July 2017 onwards, Caverion will be responsible for Managed Services, including Technical Maintenance in the facilities. The order has a value of around EUR 2.3 million. Caverion Corporation issues a EUR 100 million hybrid bond. Due to excellent demand the issue size was increased from the original EUR 80 million to EUR 100 million. The coupon of the hybrid bond is 4.625 per cent per annum until June 16, 2020. The hybrid bond does not have a maturity date but the issuer is entitled to redeem the hybrid for the first time on June 16, 2020, and subsequently, on each coupon interest payment date. The hybrid bond will strengthen the capital structure and financial position of the company. EUR 40 million of the proceeds from the hybrid bond will be used to refinance existing bank loan facilities and the remaining part will be used for general corporate purposes. 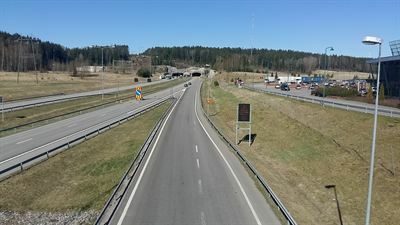 Caverion and the Finnish Transport Agency have made an agreement on the modernisation of the telematic system for managing traffic on the E18 motorway between Turku and Muurla. 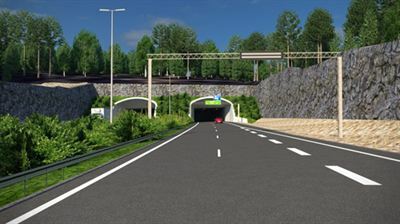 The agreement also includes a major renovation of the Isokylä tunnel in Salo. Caverion is the main contractor of the project, and the value of the agreement is EUR 5.5 million. TUI’s latest cruiser, Mein Schiff 6, will embark on her maiden trip tomorrow, 3 June, from Kiel in Northern Germany towards Norway and North Cape. Mein Schiff 6 is the fourth of six cruisers being built at the Meyer shipyard in Turku. Caverion and Jatke Länsi-Suomi Oy have made a contract for the design and delivery of Total Technical Solutions for the Kulkurin Valssi sheltered housing facility in Turku. The former retail property will be renovated and converted into a care unit under the turnkey contract. 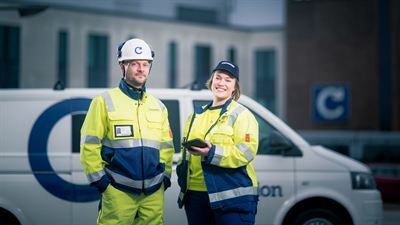 Caverion is launching further actions to address the remaining utilisation and performance challenges in Sweden. 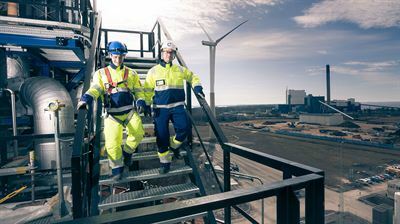 These actions include reductions in workforce, combining of existing units, better usage of shared resources and integration of its Swedish industrial and building systems operations. Michael Steinkraus and his team venture into places that others avoid like the plague: they maintain maximum containment laboratories – research facilities that work with the most deadly viruses on the planet. In Germany, Caverion is one of the few providers that offers everything from planning to installation, maintenance, and validation in this field. Caverion is launching two new building systems installation projects in Germany. 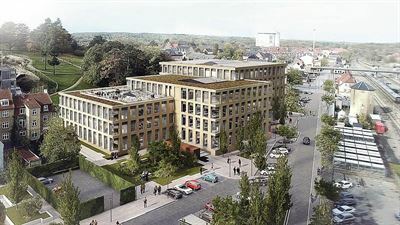 In Hamburg, Caverion will install Heating and Cooling systems for Baufeld 60, a new building complex. The client in the project is Max Bögl Stiftung, and the contract is worth about EUR 2.1 million. Caverion Corporation's Interim Report for January−March 2017 will be published on Friday, April 28, 2017 at approximately 9:00 a.m. Finnish time (EEST). The stock exchange release and presentation materials in Finnish and in English will be published at that time on the company's website at www.caverion.com/investors. Minna Schrey-Hyppänen, born 1966, M.Sc. (Eng. ), M.Sc (Econ), has been appointed as Head of Human Resources and a member of the Group Management Board of Caverion Corporation as of June 26, 2017. She will report to Ari Lehtoranta, President and CEO of Caverion. Caverion Corporation’s Annual General Meeting, which was held in Helsinki today on March 17, 2017, adopted the Financial Statements for the year 2016 and discharged the members of the Board of Directors and the President and CEO from liability. In addition, the Annual General Meeting resolved on the use of the profit shown on the balance sheet and the payment of dividend, the amendment of the Articles of Association, the composition of members of the Board of Directors and their remuneration, the election of the auditor and its remuneration as well as authorised the Board of Directors to decide on the repurchase of the company’s own shares and share issues. 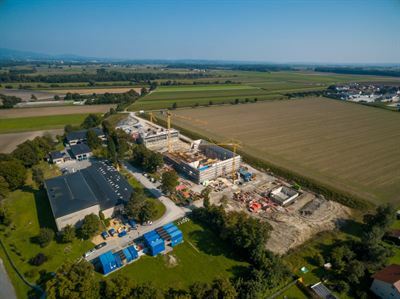 Caverion has signed a EUR 5 million Large Project contract with Gemeinschaftskraftwerk Inn GmbH (GKI) – a consortium of the public sector clients Verbund Tiroler Wasserkraft AG (TIWAG), Engadiner Kraftwerke AG (EKW) and VERBUND AG – for the implementation planning and technical installation of Electricity and Ventilation systems, including the associated automation technology, for a new hydropower station. Caverion has signed a contract with ELBLANDKLINIKEN Stiftung & Co. KG on the delivery of a Large Project for the expansion and renovation of a clinic building in Riesa, Germany. The contract has a volume of approximately EUR 5 million. The delivery includes the technical disciplines of Heating, Sanitation and Cooling. After completion of the technical installations, Caverion and ELBLANDKLINIKEN enter into a five year agreement concerning Technical Maintenance. Notice is given to the shareholders of Caverion Corporation that the Annual General Meeting this year will be held on Friday 17 March 2017 at 10 a.m. Finnish time in the Congress Wing of the Messukeskus, Exhibition and Convention Centre Helsinki, Messuaukio 1, 00520 Helsinki, Finland. The reception of persons who have registered to attend the Annual General Meeting and the distribution of voting slips will commence at 9 a.m. Finnish time. Refreshments will be served from 9 a.m.
Caverion and the construction company Bilfinger Hochbau have agreed on the project execution of Total Technical Solutions covering all building systems. The end-customer is Novaled, organic semiconductor manufacturer in Dresden, Germany. The contract includes the renovation of a historical office building and a new laboratory building and has a volume of approximately EUR 5 million. The work started in January and will be completed in March 2018. Caverion Suomi Oy (Finland) has been served with a corporate fine claim amounting to a minimum of EUR 300,000 in connection with sponsorship of equestrian sports in Finland. In addition, a member of the Group Management Board of Caverion Corporation has been brought a charge in this matter. Caverion has signed a Large Project contract with the Kainuu social and health care local government regional authority for the creation of building systems and internal data networks for the new hospital in Kainuu. We are changing little by little from an industrial society to a service society. In a large scale, this means that human skills and interests are changing, as well as the culture of working life. The number of information workers is growing and operative field workers will also be part-time knowledge workers as information technology constantly grows. Is it time to upgrade your technical maintenance? Erkki Huusko (born 1957, B. Eng., eMBA) has been appointed as Head of Division Industrial Solutions and a member of the Group Management Board of Caverion Corporation as of January 19, 2017. He will report to Ari Lehtoranta, President and CEO of Caverion Group. Caverion Corporation's Financial Statement Release for 2016 will be published on Tuesday, February 7, 2017 at approximately 9.00 a.m. Finnish time (EET). The Financial Statement Release and presentation materials in Finnish and in English will be published at that time on the company's website at www.caverion.com/investors. Caverion Corporation provides preliminary financial information on its revenue and EBITDA for 2016. Preliminary Group revenue for 2016 amounted to approximately EUR 2,366 million (2015: EUR 2,443 million). Preliminary Group EBITDA excluding restructuring costs amounted to approximately EUR 17 million in 2016. Total restructuring costs were approximately EUR 27 million in 2016 and preliminary Group EBITDA for 2016 amounted to approximately EUR -10 million (2015: EUR 91.5 million). The figures are based on unaudited preliminary financial results for the reporting period. The following changes in Caverion’s organisation structure and Group Management Board will take place. Ari Lehtoranta started as the President and CEO of Caverion Corporation yesterday 1 January 2017. Lehtoranta has been a member of the Board of Caverion Corporation since 2013, and he served as the Chairman of the Board from 2015 until November 2016. Caverion Corporation has signed a new EUR 60 million unsecured long-term bullet term loan agreement with its core banks. The loan will be used for general corporate purposes and it will balance the debt maturity structure and support the liquidity management in the Group. The loan will be raised during December 2016 and it will mature as a bullet loan in February 2021. The parties have furthermore confirmed the EBITDA calculation principles related to the Group’s financial covenant (Net Debt/EBITDA). Caverion's Board of Directors has decided to continue the share based long-term incentive plan for the senior management of the Group on 20.12.2016. The share based incentive plan consists of Performance Share Plan (PSP) as the main structure supported by Restricted Share Plan as a complementary structure for specific situations. The plan is based on the rolling long-term incentive structure approved by the Board of Directors on 17.12.2015. Both plans consist of annually commencing individual plans, each with a three-year period. The commencement of each new plan is subject to a separate decision of the Board. The National Museum for art, architecture and design will emerge as an iconic building, and give Norway a strong international position in the visual arts. 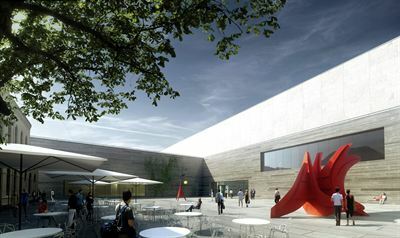 With its 54,600 square meters, Norway’s new National Museum will be the biggest museum in the Nordics. The museum will be an important and vital meeting place for the public to enjoy art. Caverion Corporation has on December 9, 2016 received an announcement under Chapter 9, Section 5 of the Finnish Securities Markets Act, according to which the holding of Solero Luxco S.à r.l. (“Solero Luxco”, a company ultimately owned by Triton Fund IV) in Caverion has exceeded the threshold of 5 per cent. According to the announcement, the holding had exceeded the threshold on December 8, 2016. 3D visualisation model for property data won the first Hack the Office contest in the Nordic property sector. 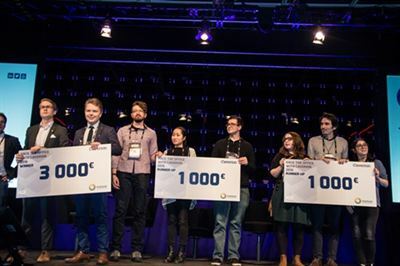 The winning ideas were announced at Slush 2016 on 1 December 2016. Oy Botnia Mill Service Ab, which is part of Caverion, has won the Finnish quality award. The award is a national recognition of excellence that the Finnish Quality Association grants annually through its external assessments to the most successful organisations that have reached the top level. The award was presented at a ceremony on 1 December 2016. 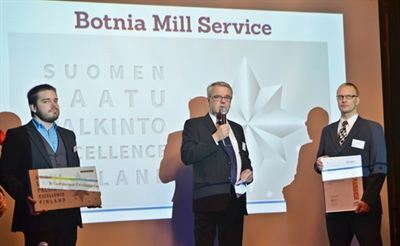 Botnia Mill Service already participated in the competition in 2014, at which point it received the four-star Excellence Finland recognition. Caverion has signed an agreement with Immofinanz for the Project Execution of all technical disciplines for the Float office building in Düsseldorf, Germany. The contract is worth about EUR 25 million. In addition, Caverion will be responsible for the Project Execution of all technical disciplines in the future tenant areas. Caverion and Oy Lunawood Ltd enter into an agreement concerning Technical Maintenance and Managed Services of Lunawood’s production plant located in Iisalmi, Finland. The five-year contract takes effect at the beginning of January 2017. The value of the agreement will not be disclosed. 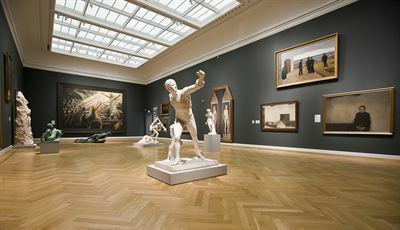 Caverion has signed an agreement with the National Gallery of Denmark in Copenhagen on the delivery of a Large Project for replacement of installations. The contract has a volume of approximately EUR 5.4 million. Ari Lehtoranta has resigned from the Board of Directors of Caverion Corporation and from the position of Chairman of the Human Resources Committee as of today. As the company has previously announced, Ari Lehtoranta will begin as the President and CEO of Caverion Corporation on January 1, 2017. Caverion has secured a new Managed Services agreement with the Swedish city of Malmö. Caverion will be responsible for Managed Operations including Technical Maintenance for 47 schools in the city. Caverion has concluded an partnership agreement with Metsä Fibre concerning sawmills in Vilppula, Finland. Caverion will be responsible for maintenance and related managed services on the site until further notice from December 2016. The value of the agreement will not be disclosed. Finland’s leading startup operator HUB13 will partner with Caverion and Granlund to organise the first Hack the Office event in the Nordic property sector on 11–13 November in Finland. Hack the Office is a 48-hour international innovation workshop for software industry experts. Hack the Office will bring the developer community together to accelerate the automation of smart office buildings and increase their value. The most innovative ideas will receive awards at Slush. Caverion and property companies owned by Keva have signed an agreement on energy management services. The service will cover a total of 110 property companies in Finland, comprising a total floor area of more than 1.2 million square meters. Caverion will publish the financial statements bulletin for 2016 on Tuesday, February 7, 2017. Annual Report 2016 including the financial statements will be published during week 8/2017, at the latest. Caverion received –B ranking in the CDP Climate Change 2016 evaluation (range A–D-), representing good Nordic average. The CDP (formerly the "Carbon Disclosure Project") is a global non-profit organisation providing a disclosure system through which companies around the world can measure and disclose their environmental performance. Caverion participated in the evaluation for the second time. In the third quarter of 2016, Caverion Corporation continued the restructuring of its operations and the review of its project portfolio. As a result of the review, several projects were still identified with challenges in project management and execution. The identified challenges mainly relate to divisions Sweden, Denmark-Norway, Germany and Industrial Solutions. Based on the review, Caverion has completed and will complete more conservative cost estimate adjustments and provisions related to its project portfolio. The adjustments have an impact in the Group’s third and fourth quarter results in 2016. With a spectacular main building in gold shimmering glass, it’s impossible to miss that the Royal College of Music in Stockholm (KMH) has got a new campus. In the summer of 2016, the school moved to newly-built premises that could meet KMH’s extremely high acoustic demands. Caverion Corporation's Interim Report for 1−9/2016 will be published on Thursday, October 27, 2016 at approximately 9.00 a.m. Finnish time (EEST). The stock exchange release and presentation materials in Finnish and in English will be published at that time on the company's website at www.caverion.com/investors. Biopharmaceutical giant AstraZeneca has a Managed Services partnership agreement with Caverion in Sweden. Caverion is responsible for delivering Managed Services, including Managed Operations for AstraZeneca’s 220 properties in Södertälje and Gothenburg, Sweden. The properties cover 995,000 square metres and they have very high requirements for accuracy, purity and documentation. The Board of Directors of Caverion Corporation has appointed Ari Lehtoranta (b. 1963), M.Sc. (Eng. ), as the new President and CEO of Caverion Corporation. He will assume the new position on January 1, 2017. Caverion presents "Krantz Academy", a new platform for professional exchange in the field of air flow distributions. The Krantz Academy organises free online webinars, which give the opportunity to learn from Krantz experts and ask questions. 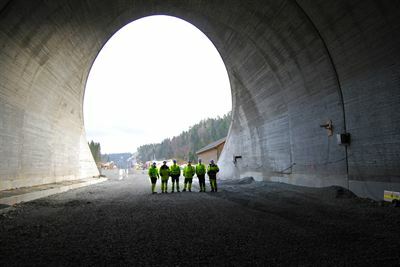 Caverion has signed a contract with Strabag Infrastructure & Safety Solutions to design and install the operational and safety-related equipment for the tunnel chain Klaus on the motorway A9 Pyhrn in Upper Austria. The contract covers the technical disciplines of Electricity, Information and Communication Services, Security and Safety as well as Ventilation and Air Conditioning. The value of the contract is approximately EUR 4.8 million and it includes Design & Engineering, Project Management and Project Execution. Caverion’s international marketing campaign Space Saga has been shortlisted in international Digital Communication Awards, in the category B2B Communication. More than 750 applications have been entered for 35 categories where three to five nominees are shortlisted in each category. The winners will be announced on 29 September 2016 in Berlin. Martti Ala-Härkönen (50), Dr. Sc. (Econ. ), Lic. Sc. (Tech. ), has been appointed as CFO of Caverion Group and a member of the Group Management Board of Caverion Corporation as of September 19, 2016. He will report to the interim President and CEO Sakari Toikkanen. Klas Tocklin (52), B. Sc (Eng) has been appointed as Executive Vice President & CEO of Division Sweden and a member of the Group Management Board of Caverion Corporation as of August 10, 2016. He will report to the interim President and CEO Sakari Toikkanen. A 22.5 km double track line is being built in Norway from Farriseidet to Porsgrunn, with seven tunnels and ten bridges, at a price of EUR 757 million (NOK 7.1 billion). The new track will be ready in late 2018. The benefits of building the new track include reduced travel times and increased safety for passengers and local residents thanks to the closure of level crossings, outdated tunnels and sections in danger of landslides. Jernbaneverket’s massive project breaks down into seven contracts, of which Caverion’s electrical work is the biggest technical contract. “Involving everyone, allocating time, and raising concerns.” These three factors are key to good occupational and environmental safety. Caverion Finland’s head accountant Jonna Jumisko has figured out a way to combine exercise and charity. 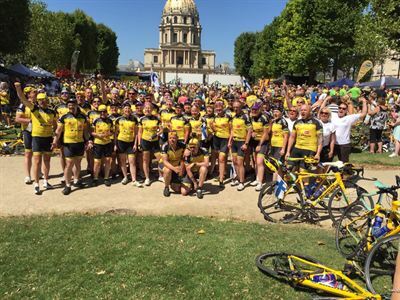 Jonna is participating for her second time in Team Rynkeby’s cycling trip to Paris. Caverion Corporation's half yearly report for January−June 2016 will be published on Thursday, July 21, 2016 at approximately 9:00 a.m. Finnish time (EEST). The stock exchange release and presentation materials in Finnish and in English will be published at that time on the company's website at www.caverion.com/investors. With yellow windows the new police station in Holstebro, Denmark is easy to notice, surrounded by barracks and new neighbours, waiting to be taken into use soon. In the barracks lives one of Caverion’s employees, installer Morten Dissing, who has travelled a long way to get here. Morten is employed within the project business and is finishing up one of Caverion’s life cycle projects before delivery. Caverion has signed a Managed Services contract with the insurance company HUK Coburg in Germany. Caverion will take care of the Managed Operations and Technical Maintenance, including the availability of nearly all building systems at HUK Coburg’s logistics and data centre in Coburg. The value of the 5-year contract is not disclosed. 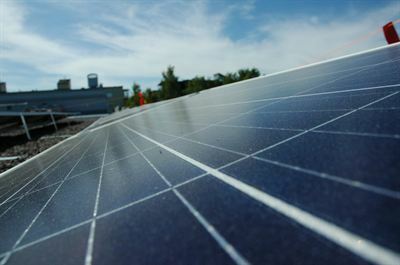 Caverion delivers solar power systems to two Helsinki properties owned by Varma. 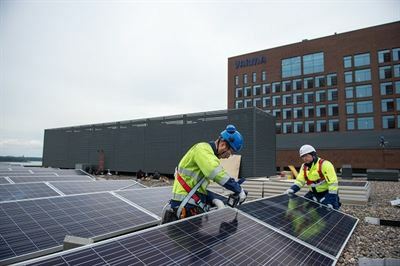 Solar panels installed on the roofs of the properties in Itälahdenkatu 22 A in Lauttasaari and Itämerenkatu 11–13 in Ruoholahti will start to generate solar energy for the properties this summer. Caverion delivers Total Technical Solutions for a new eight-storey hotel being constructed by Skanska. The hotel will be part of the Clarion hotel chain operated by Nordic Choice hotels. 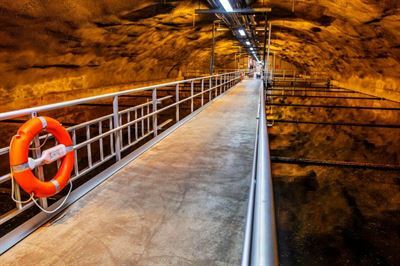 Caverion and Kemijoki Oy have signed an extended contract on outsourcing the technical maintenance and operations of hydropower plants at the Kemijoki watercourse area. The value of the contract is not disclosed. 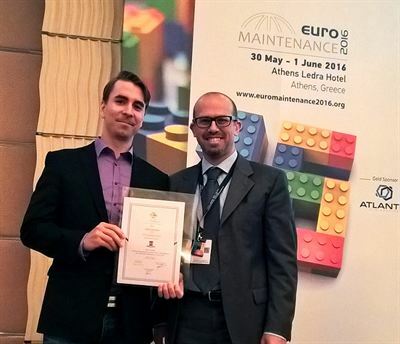 Ville Ilmonen’s study on Caverion has been rewarded as the best master’s thesis in Europe in the field of technical maintenance. The choice was made by the European Federation of National Maintenance Societies (EFNMS). The prizes were handed out at the biennial EFNMS Conference in Athens 31, May. Caverion provides Total Technical Solutions covering all building systems for the use of two private hospital properties operated by Pohjola Health in Kuopio and Oulu in Finland. The contracts have a combined value of almost EUR 10 million. 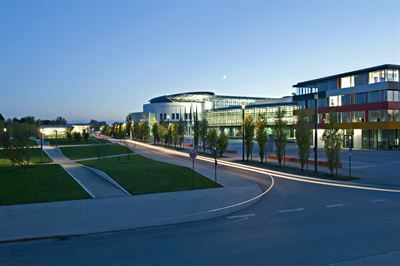 Caverion has prolonged its Managed Services contract with the Technical University Munich (TUM) in Germany. The agreement is a continuation to an existing co-operation at the campus Garching since the 1990’s. The value of the contract is not disclosed. Bringing new life to an office tower from the 80s with modern and energy efficient building technology: Caverion was involved in the revitalisation and greening of one of Munich’s tallest office buildings. 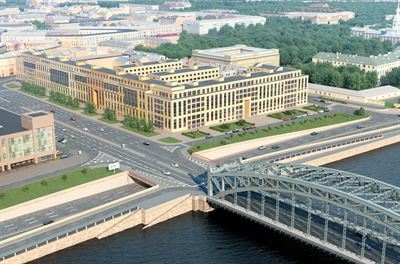 Caverion has signed a contract with YIT for installation of building solutions to YIT’s upscale residential complex ”Smolny prospect” in the historic center of St. Petersburg, Russia. Caverion is responsible for the Project Management and Project Execution. The technical disciplines included in the contract are Heating and Sanitation, Ventilation & Air Conditioning, Security and Safety. The value of the contract will not be disclosed. Caverion Corporation and its President and CEO Fredrik Strand have jointly agreed that Fredrik Strand will discontinue his duties as President and CEO of Caverion Corporation immediately. Fredrik Strand has served as President and CEO of Caverion Corporation since April 2014. Caverion has signed a new Managed Services agreement with SL, Stockholm Public Transport. 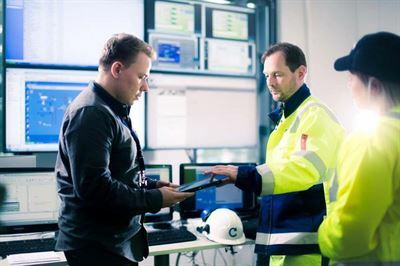 Caverion will be responsible for Managed Operations including Technical Maintenance for all of Stockholm’s 100 subway stations and for six train-depots. The value of the up to 9-year agreement, starting on February 1, 2017, is around EUR 35 million for the fixed part of the contract. Furthermore, Caverion will deliver add-on services to the fixed contract. The critical processes in industrial plants must operate seamlessly, faultlessly and safely. If operations are disrupted or equipment failure takes place, it can lead to an unpredictable and expensive downtime in production or – in the worst case – personal injury or environmental damage. Caverion has secured a new Managed Services agreement with the Swedish municipality of Sollentuna in Stockholm County. 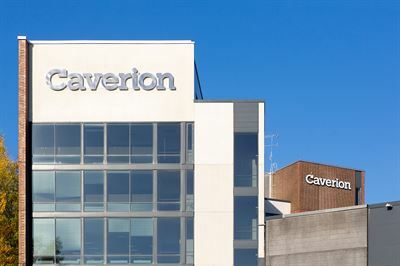 Caverion will be responsible for Managed Operations, including Technical Maintenance of around 70 public buildings in Sollentuna, including schools, day care centres, sports centres and also a number of listed buildings such as Edberg’s castle. Caverion has signed an agreement with The New University Hospital in Aarhus (DNU), Denmark on the delivery of building systems for the Danish Center for particle therapy (DCPT). The agreement includes Project Execution for the disciplines of Electricity, Heating & Sanitation and sprinklers (Security and Safety). The contract has a volume of approximately EUR 5.5 million. Caverion is strengthening its AV solutions expertise through the acquisition of Sähkötaso Esitystekniikka Oy. The transaction supports the Group’s strategy and complements Caverion’s offering in the area of Information and Communication Services. As informed previously Caverion actively co-operates with authorities in the investigation of violations of competition law related regulations in the technical services industry in Germany. As part of this co-operation Caverion has identified activities during 2009-2011 that are likely to fulfil the criteria of corruption or other criminal commitment in one of its client project executed in that time. Caverion has brought its findings to the knowledge of the authorities and supports them to further investigate the case. Caverion Corporation lowers its revenue and EBITDA guidance for 2016 announced on January 27, 2016 and reiterated on April 22, 2016. Caverion has made a new Managed Services partnership agreement with the Swedish public property owner Locum. 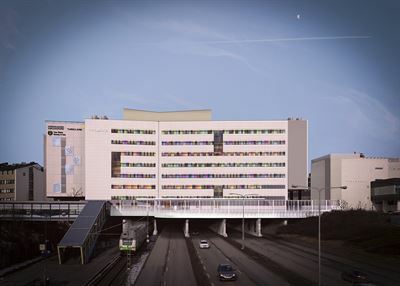 Caverion will be responsible for Managed Operations, including Technical Maintenance for seventeen hospitals and health care centers in Stockholm with a total floor area of 260,000 m2. The estimated value of the 5-year agreement is over EUR 10 million and it includes an option for additional three years. The agreement expands the current partnership between Locum and Caverion. 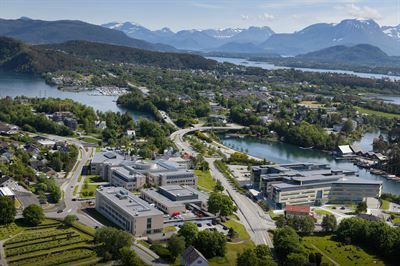 Caverion has signed a contract with the general contractor Skanska AS to deliver Total Technical Solutions covering all building systems for a new office building in the Norwegian Maritime Competence Center in Ålesund, Norway. The delivery includes the disciplines of Heating and Sanitation, Ventilation and Air Conditioning, Electricity, Cooling, Automation, Information and Communication Services, and Security. In addition to Project Execution, Caverion is responsible for the Advisory Services, Design & Engineering and Project Management. The value of the contract is approximately EUR 5.3 million. 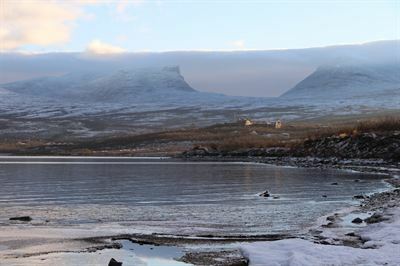 Caverion, SKB, Swedish Nuclear Fuel and Waste Management Company, and Vattenfall, one of Europe's largest generators of electricity, extend the framework agreement for the Ringhals and Forsmark nuclear power plants. The agreement for the years 2016-2018 covers the service areas of Design & Engineering, Project Execution, Technical Maintenance and Managed Services. The value of the contract is not disclosed. Caverion delivers Total Technical Solutions for the first phase of the extension of Rantatie Business Park constructed by YIT in Kalasatama, Helsinki, Finland. The value of the agreement is not disclosed. 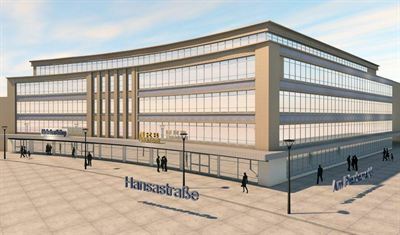 The building is being developed by Lindström Invest Oy. Caverion Corporation provides preliminary information on its first quarter EBITDA. The reported Group EBITDA for January–March 2016 decreased clearly from the previous year and amounted to EUR 11.5 (1-3/2015: 14.2) million. The reported Group EBITDA for January-March was earlier estimated to be in line with the previous year (stock exchange release on March 21, 2016). 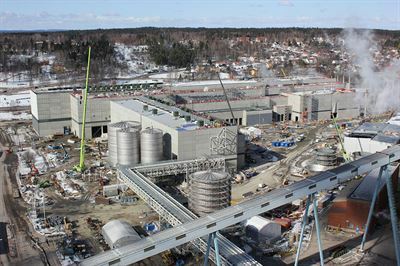 Caverion has made a contract with Metsä Fibre Oy, part of Metsä Group, on pipe deliveries for the pulp mill and evaporation plant at the bioproduct mill under construction in Äänekoski, Finland. This is the third order placed with Caverion for the same site. The combined value of the pipe delivery publicised now, the pulp tower agreement announced in June 2015, and the recent agreement on pipe deliveries for the high-pressure and turbine area is approximately EUR 45 million. Caverion Corporation's Interim Report for January−March 2016 will be published on Thursday, April 28, 2016 at approximately 9:00 a.m. Finnish time (EEST). The stock exchange release and presentation materials in Finnish and in English will be published at that time on the company's website at www.caverion.com/investors. The Syvälahti community complex in Hirvensalo, Turku, Finland will be executed as an alliance project by Visible, an alliance between Caverion and NCC. The companies have signed contract agreements on the execution of the project with Kiinteistö Oy Turun Syvälahden koulu, owned by the City of Turku. For Caverion, the value of the contract is approximately EUR 5 million. Caverion has signed a new Large Project and Technical Maintenance agreement with one of the world’s leading passenger and logistics companies Deutsche Bahn AG. 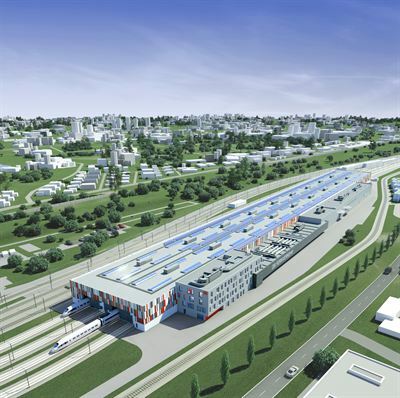 Caverion will provide building systems and Technical Maintenance for a new maintenance center for trains in Cologne, Germany. The order has a volume of approximately EUR 19 million. 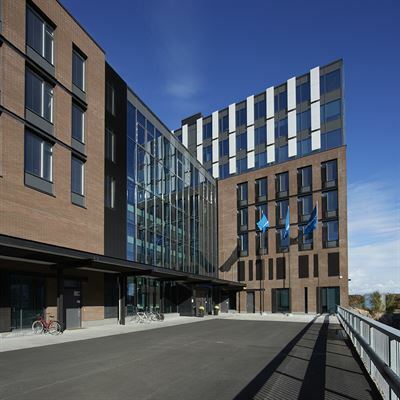 Caverion has signed an agreement with the Foundation for Student Housing in the Helsinki Region (Hoas) on the technical maintenance of student housing properties owned by Hoas. The agreement is a continuation to ongoing cooperation for a fixed term of two years at first and then until further notice. Caverion has made a partnership agreement with Pankakoski Mill Ltd, which is owned by Pankaboard. 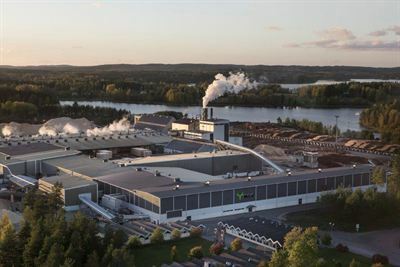 Caverion will be responsible for Technical Maintenance of the cartonboard factory located in Lieksa, Finland, as well as related Managed Services, under a long-term contract that will take effect at the start of April. The value of the agreement will not be disclosed. Caverion Corporation has received 237 own shares (CAV1V). In its meeting held today, Caverion Corporation’s Board of Directors decided on the composition of its Human Resources Committee and the Audit Committee. The same chairmen and members continue in 2016 as in 2015. Caverion Corporation’s Annual General Meeting, which was held in Helsinki today on March 21, 2016, adopted the Financial Statements for the year 2015 and discharged the members of the Board of Directors and the President and CEO from liability. In addition, the Annual General Meeting resolved on the payment of dividends, the composition of the Board of Directors and their remuneration, the election of the auditor and its remuneration as well as authorised the Board of Directors to decide on the repurchase of the company’s own shares and share issues. Caverion Corporation is holding its Annual General Meeting today, March 21, 2016 starting at 10:00 a.m Finnish time (EET) in Helsinki, Finland. The Chairman of the Board of Directors Ari Lehtoranta will open the meeting, and the President and CEO Fredrik Strand will in his review present Caverion’s financial performance in 2015, market outlook and the company’s strategic targets. In addition, Fredrik Strand will briefly comment on Caverion’s development on the first quarter. More than 650,000 viewers for Caverion’s marketing campaign Space Saga - the last Caverion Space Saga video live now! 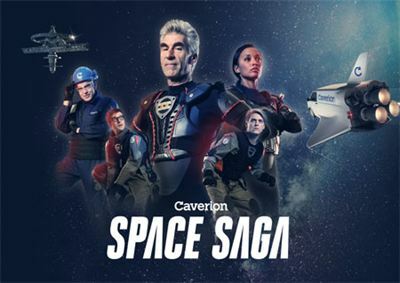 Caverion’s first international marketing campaign – Caverion Space Saga – was launched in the beginning of the year in Caverion’s twelve operating countries. 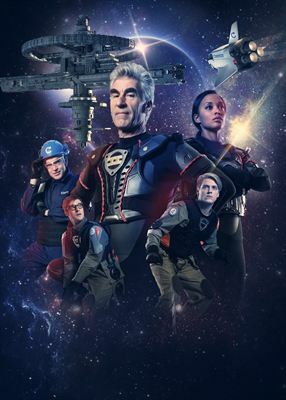 At the moment, three of the published Space Saga videos have attracted approximately 650,000 viewers and more than 100,000 people have visited the campaign site. The last part of the Space Saga– Intelligent and Integrated Solutions -was launched today. Caverion has signed an agreement with the City of Hämeenlinna on the implementation of the Nummi service centre as a life cycle project. The project will be carried out in cooperation with YIT. 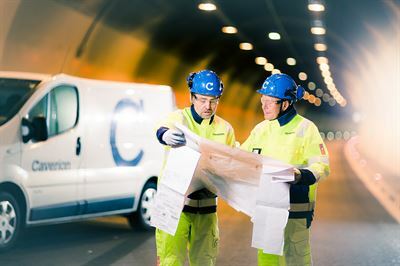 The value of the contract for Caverion is approximately EUR 16 million and it covers the delivery of total technical solutions as well as Technical Maintenance and Managed Services for the 20-year contract period. The agreement further includes an option for an additional five years. 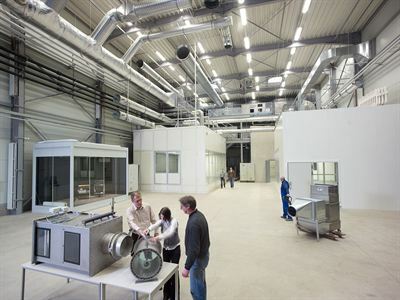 YIT is responsible for the construction of the service centre. In line with the shifting focus within Caverion from development to implementation and growth, the following changes in Caverion’s Group Management Board will take place as of March 1, 2016. Citybanan Stockholm improves everyday life for thousands of commuters - fewer delays and less overcrowding? Caverion has signed a contract with Hochtief Building GmbH to provide building systems worth over EUR 21 million for a new laboratory and administration building, Berlin-Brandenburg State Laboratory (LLBB) in Berlin. Caverion is responsible for design & engineering of the building systems and project execution. The online report provides information on Caverion’s strategy, business operations, operating environment and sustainability. Caverion has signed an agreement with DNA Oy on the building systems technical maintenance of DNA’s equipment bays. 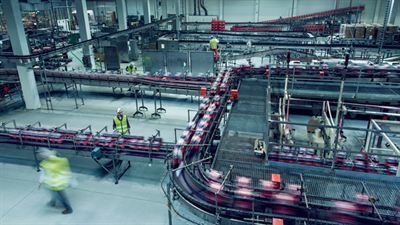 The three-year contract is a continuation to the current cooperation, and it covers approximately 160 of DNA’s extensive and critical equipment bays all over Finland. Caverion has signed an agreement with YIT on the delivery of building systems to the Suviniitty parking facility located in Espo. Caverion will act as YIT’s building systems partner in the project. The value of the agreement is not disclosed. 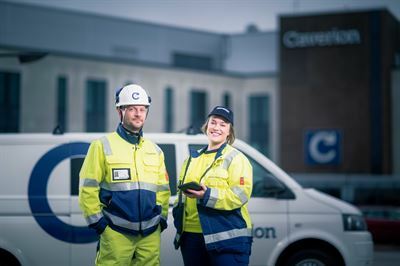 Caverion has signed an agreement with YIT Kuntatekniikka Oy to acquire the company's technical maintenance business. The transaction supports Caverion's growth strategy and presence in the Mikkeli area in Finland. The purchase price is not disclosed. Notice is given to the shareholders of Caverion Corporation that the Annual General Meeting this year will be held on Monday 21 March 2016 at 10 a.m. Finnish time in the Congress Wing of the Messukeskus, Exhibition and Convention Centre Helsinki, Messuaukio 1, 00520 Helsinki, Finland. The reception of persons who have registered to attend the Annual General Meeting and the distribution of voting slips will commence at 9 a.m. Finnish time. Refreshments will be served from 9 a.m.
Caverion Corporation is making changes to its external financial reporting as of January 1, 2016 in order to increase the transparency of its operations and align the financial reporting with the next phase of Group strategy. 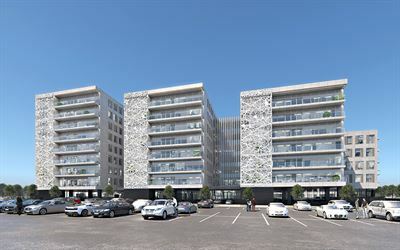 Caverion has signed a managed services contract with general contractor A. Enggaard and Nordea to deliver a managed life cycle project for a new office building to be used by several public sector authorities at Kalvebod Brygge in Copenhagen, Denmark. Caverion has signed an agreement with Mr Alfred Lotter on the purchase of the business of Arneg Kühlmöbel u. Ladeneinrichtungen, Produktions- u. Handelsgesellschaft mbH (“Arneg Kühlmöbel”). The transaction was approved by the Austrian Federal Competition Authority on January 19, 2016. The acquisition supports Caverion’s growth strategy and expands on its position within the cooling technology market in Austria. The purchase price is not disclosed. Caverion Corporation's Financial Statements Bulletin for 2015 will be published on Wednesday, January 27, 2016 at approximately 9:00 a.m. Finnish time (EET). The stock exchange release and presentation materials in Finnish and in English will be published at that time on the company's website at www.caverion.com/investors. 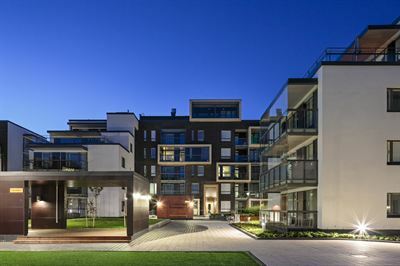 Caverion and Orion have signed an agreement on the technical maintenance of and managed services for Orion’s properties in Espoo, Turku, Salo and Kuopio. The total floor area of the properties covered by the four-year agreement is approximately 195,000 square metres. The value of the agreement is not disclosed. Caverion Corporation has received 630 own shares (CAV1V). Caverion's Board of Directors has approved a new long-term share-based incentive plan for the Group’s senior management. The new plan consists of a Performance Share Plan, complemented with a Restricted Share Plan for special situations. Both plans consist of annually commencing individual plans, each with a three-year period. The commencement of each new plan is subject to a separate decision of the Board. 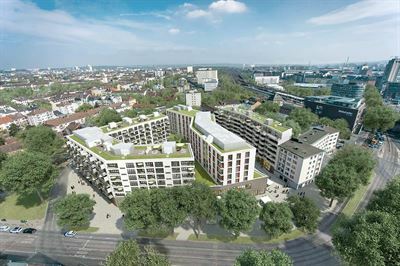 Caverion has started a large project on delivering building systems for the former GSW high-rises in Berlin, Germany. Caverion, together with UNDKRAUSS Baugesellschaft mbH Berlin, is acting as a technical general contractor responsible for the project execution. The value of the project is not disclosed. 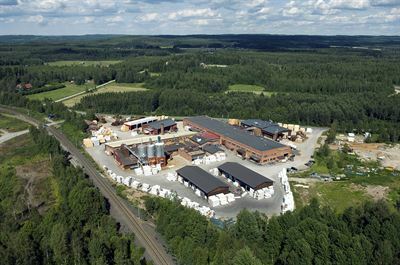 Caverion has made a partnership agreement with Metsä Wood for sawmills in Lappeenranta and Renko. Caverion will be responsible for technical maintenance and related managed services on the sites until further notice as of February 2016. The value of the agreement will not be disclosed. Caverion has started a project worth approximately EUR 20 million for Deutsche Telekom on designing and delivering building systems for the company’s headquarters in Bonn, Germany. Caverion renews the headquarters’ building systems in conjunction with the revitalisation of the building area. 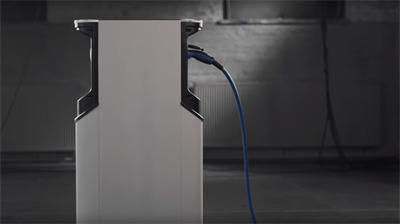 Caverion’s delivery covers the disciplines heating and sanitation, ventilation and air-conditioning, cooling, electricity and automation solutions. Caverion is responsible for the design and execution of the project. 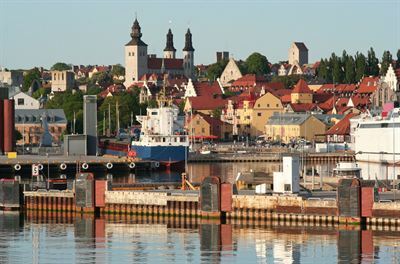 Caverion has agreed to perform Managed Services for Söderhamn municipality and the municipality’s housing company Faxeholmen AB in Sweden. The Energy Performance Contracting (EPC) contract is worth EUR 29 million and it is the largest single EPC project implemented by Caverion in the Nordic countries. For the client, EPC service guarantees energy savings by optimising the buildings and their performance over time. Caverion has made an agreement with Töölönkadun Pysäköintilaitos Oy for the total delivery of building systems for the Töölö car park. The value of the delivery is approximately EUR 4.6 million. The car park is a joint project of Taitokaari Oy and Vantum Oy. Caverion is responsible for designing and implementing the car park's building systems, as well as for managing the project. The building systems encompass heating, sanitation, ventilation, air conditioning, electricity, automation and sprinkler systems. Caverion has made an agreement with Linde Engineering concerning mechanical installations and pipe, equipment and steel installations for a new hydrogen plant in the Kilpilahti industrial area of Porvoo, Finland. The installations began in August 2015 and will be complete in May 2016. The value of this agreement will not be disclosed. Caverion is renewing its division structure by combining its operations in Denmark and Norway under one new division to be formed. As a result, the following changes will take place as of January 1, 2016. Caverion has participated in the global CDP reporting process for the first time, and received 89 out of 100 points. The CDP (formerly the "Carbon Disclosure Project") is a global non-profit organisation providing a disclosure system through which companies around the world can measure and disclose their environmental information. 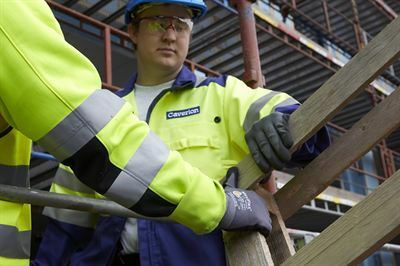 Caverion has signed an agreement with Skanska on the total delivery of building systems for the old Tampella linen factory in Tampere. The building is to be renovated into hospital and office premises. The value of the building systems delivery exceeds EUR 7 million. In addition, Caverion will deliver the cleanroom facilities for three operating theatres in the hospital. The agreement on the delivery of the cleanroom facilities was signed with KOY Koskitammi, a company owned by the insurance and pension entities in the OP Group. The value of this agreement will not be disclosed. Caverion has made a large project agreement with Skanska for the total delivery of building systems to the Turku City Theatre. The theatre's building systems will be completely renewed in conjunction with a project to renovate the entire building and construct an extension. The value of the agreement is approximately EUR 6.7 million. Caverion will publish the Financial Statements bulletin for 2015 on Wednesday, January 27, 2016. Annual Report 2015 including the Financial Statements will be published during week 8/2016, at the latest. Caverion has signed a large project contract with project developer Wöhr+Bauer for the delivery of building solutions to a high-end office complex in Munich, Germany. 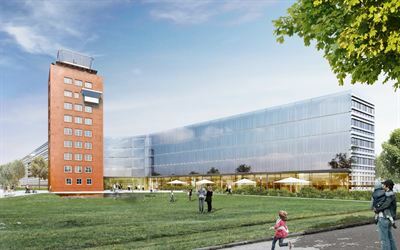 The office complex will rise to the grounds of the former Munich Riem airport and incorporate the airport’s old 35-metre control tower. Caverion is responsible for project execution. The technical disciplines covered by the contract are: heating, cooling, air conditioning, sanitation and sprinkler systems. The value of the contract will not be disclosed. Caverion Corporation's Interim Report for July−September 2015 will be published on Friday, October 23, 2015 at approximately 9:00 a.m. Finnish time (EEST). The stock exchange release and presentation materials in Finnish and in English will be published at that time on the company's website at www.caverion.com/investors. 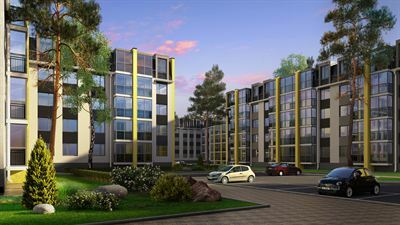 Caverion has signed a contract with YIT St. Petersburg for installation of building solutions to the YIT residential complex INKERI in the town of Pushkin, St. Petersburg. Contract covers nine newly constructed buildings. Caverion is responsible of project management and project execution. The technical disciplines included in the contract are heating and sanitation, ventilation and air conditioning, security and safety. The value of the contract will not be disclosed. Caverion Corporation has received 474 own shares (CAV1V). 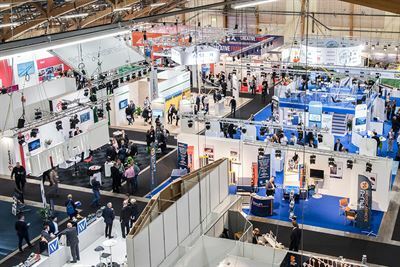 Caverion has signed a large project contract with CCH Immobilien GmbH & Co. KG on the delivery of total technical solutions for the renovation of Congress Center Hamburg in Germany. The contract is worth over EUR 43 million, making it one of the largest projects after the establishment of Caverion. Caverion is responsible for the design & engineering and project execution. Occupational safety is important throughout our business. We focus to improve occupational safety culture and practices by persistently aiming at changing attitudes and operating methods. Each employee in his or her own actions is responsible for safety at work. Caverion is moving towards the next phase of its strategy with strengthened focus on growth and development of the group business mix. As a result, the following changes in Caverion’s Group Management Board will take place as of October 1, 2015 in order to align the management structure with the execution of the next stage of strategy. Caverion will today hold its Capital Markets Day in Aachen, Germany. The event focuses on Caverion’s strategy and business prospects. There are no changes to the previously communicated financial targets, market outlook or guidance for 2015. Caverion has signed a contract with Jernbaneverket for delivering electricity solutions for Farriseidet-Porsgrunn railway project in Southern Norway. The value of the contract is approximately EUR 35 million. Caverion is responsible for project management and project execution. Caverion has signed a contract with Mitnija, the largest construction company in Lithuania, for design and installation of building solutions for two newly constructed buildings at the Technopolis Ozas office campus in Vilnius, Lithuania. The value of the contract is approximately EUR 7 million. Caverion is responsible for the design & engineering as well as project management and project execution. The developer of the project is international office real estate owner, operator and development company Technopolis Plc. Caverion and Turun Seudun Energiantuotanto Oy have signed an agreement on a high-pressure piping delivery to a new NA4 CHP multi-fuel power plant in Naantali, Finland. The process piping delivery includes piping design, materials, prefabrication and industrial installation. The value of the agreement is approximately EUR 8 million. 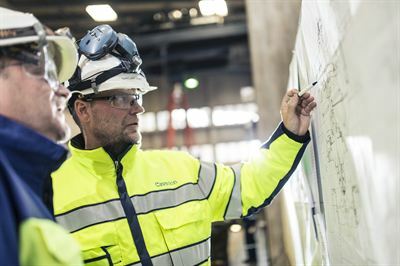 Caverion has signed a contract with Valmet AB on the installation of mechanical process piping and equipment at Södra Cell AB’s pulp mill at Värö, Sweden. The contract covers multiple deliveries. Installation work started in spring 2015 and will be completed by spring 2016. The value of the contract will not be disclosed. 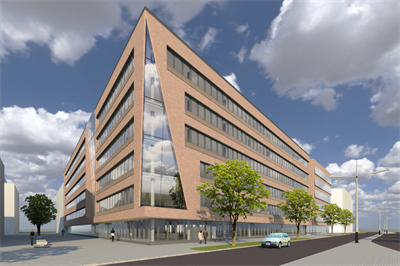 Caverion has signed a contract with property management company EKZ Grundstücksverwaltung GmbH on delivering building solutions to a new building complex in Stuttgart, Germany. The value of the contract is approximately EUR 14.2 million and it covers the technical disciplines of heating and sanitation, ventilation and air conditioning, security and safety, cooling and automation. Caverion is responsible for project execution. Caverion has signed a contract with ÖAMTC, one of the leading Austrian Touring Clubs, for delivering building solutions to their new headquarters in Vienna, Austria. The value of the contract is approximately EUR 7.0 million and it covers design & engineering, project management and project execution. Caverion has signed an agreement with the general contractor YIT for a total delivery of building systems for the “Elä ja asu” senior centre in Leppävaara, Espoo. The project has been commissioned by the City of Espoo. The contract covers heating and sanitation, ventilation and air conditioning, cooling, electricity and security and safety systems. 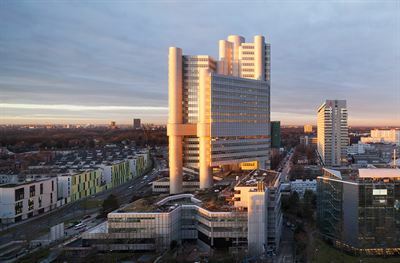 Caverion has signed a contract with general contractor Hessisches Baumanagement on delivering ventilation and air conditioning solutions to three new buildings at the University Hospital Frankfurt. The value of the contract is EUR 10.6 million and it covers project execution. Work on the site has already begun and is scheduled to be completed in July 2017. 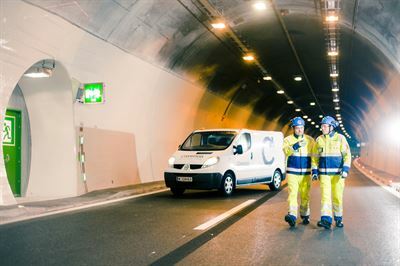 Caverion has signed a contract with the Land of Upper Austria for delivering tunnel technology for the tunnel Lambach on the road B1. The value of the contract is approximately EUR 4.7 million and it covers design & engineering, project management and project execution. 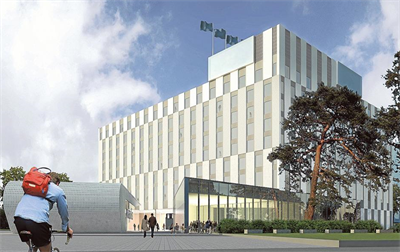 Caverion has signed a contract with general contractor Fira Oy on the total technical solutions of building systems to the renovation of the Elisa Head Office in Helsinki. The contract covers heating and sanitation, ventilation and air conditioning, cooling, electricity and security and safety systems. Caverion is in charge of advisory services and design & engineering as well as project management and project execution. The value of the contract is approximately EUR 5.7 million. Caverion Corporation's Interim Report for January−June 2015 will be published on Thursday, July 23, 2015 at approximately 9:00 a.m. Finnish time (EEST). The stock exchange release and presentation materials in Finnish and in English will be published at that time on the company's website at www.caverion.com/investors. 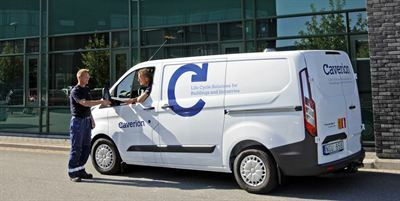 Caverion has signed a contract with the Norwegian municipality of Moss for the delivery of Managed Life Cycle services. The delivery is carried out in the form of Energy Performance Contracting (EPC), in which Caverion analyses the municipality’s property stock and implements measures to reduce its energy consumption and environmental impact. The value of the agreement will not be disclosed. Caverion has signed a contract worth approximately EUR 14.3 million with property management company TAS Kommanditgesellschaft (TAS KG) on delivering building solutions to a new Deutsche Telekom office complex in Hamburg, Germany. The contract covers the technical disciplines of heating and sanitation, cooling and electricity. Caverion is responsible for project execution. 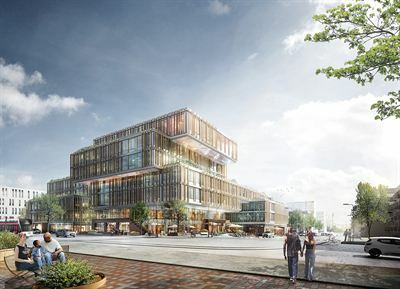 Caverion has signed a contract with general contractor NCC on delivering ventilation & air conditioning and electricity solutions as well as information and communications services to Uppsala University’s new office building, Segerstedthuset. The value of the contract is approximately EUR 5.4 million and it covers project management and project execution. Caverion has signed a contract with general contractor YIT on the design and project execution of total technical solutions for the second phase of the office and commercial centre Dixi in Tikkurila, Vantaa. The contract covers the technical disciplines of heating and sanitation, ventilation and air conditioning, cooling, electricity, security and safety, and automation. The value of the contract is approximately EUR 7.6 million. Caverion has signed a contract with Frankfurt School of Finance and Management on designing and building total technical solutions to the school’s new campus in Frankfurt am Main, Germany. The contract includes heating and sanitation, ventilation and air-conditioning, cooling, electricity and automation solutions as well as security and safety solutions in the form of sprinklers. Caverion is responsible for design and engineering and project execution. The parties will not disclose the contract’s value. Caverion invites analysts and institutional investors to its Capital Markets Day in Aachen, Germany. The event will take place on Wednesday, September 9, 2015 at 9:00 a.m.−15:30 p.m. local time (CEST) at Caverion’s renewed R&D center in Aachen (Uersfeld 24, 52072 Aachen). A welcome dinner with the company management will be organized the evening before at Pullman Aachen Quellenhof Hotel (Monheimsallee 52, 52062 Aachen). Caverion and Fortum Power and Heat signed today a business transfer and service agreement on the technical installation and maintenance of energy meters. 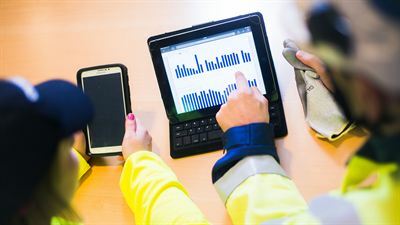 In accordance with the agreement, Caverion will assume responsibility for the technical installation and maintenance and control services of district heating and district cooling meters and gas meters in the Espoo and Central Uusimaa district heat distribution area. The business transfer and service agreement is effective from September 1, 2015. The value of the agreement will not be disclosed. Caverion has signed a two-year extension of the service agreement with the global biopharmaceutical company AstraZeneca in Sweden. 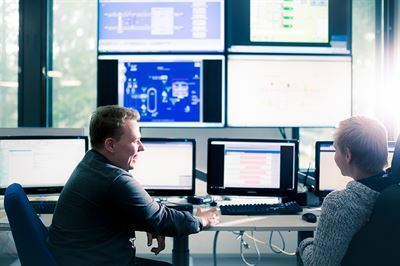 The extended contract includes technical maintenance, managed operations and advisory services at AstraZeneca’s research and production facilities in Mölndal and Södertälje in Sweden. It covers the technical disciplines of heating and sanitation, ventilation and air conditioning, cooling and electricity. The parties have agreed not to disclose the value of the contract. 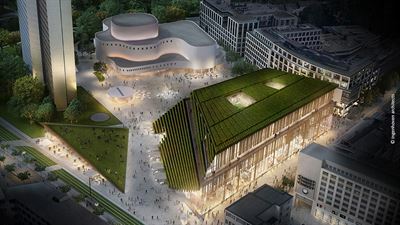 Caverion has signed a contract with the general contractor NCC AB to install heating and sanitation, cooling and electricity systems on the new campus of The Royal College of Music in Stockholm (KMH). The value of the contract is approximately EUR 4.3 million and it includes project management and project execution. The work on site is already underway and will be completed in 2016. 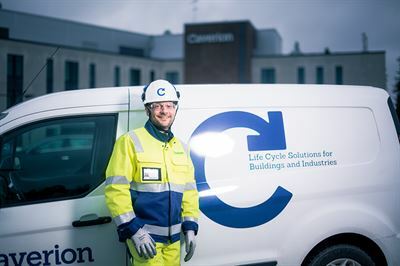 Caverion has signed a contract with the Swedish municipality of Leksand for the delivery of Managed Life Cycle services. The delivery is in the form of Energy Performance Contracting (EPC), in which Caverion analyses the municipality’s property stock and implements measures to reduce its energy consumption and environmental impact. 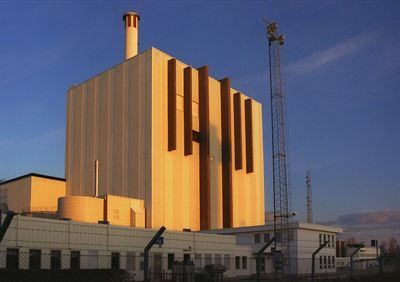 Caverion has signed a three-year contract with the Finnish nuclear power company Teollisuuden Voima Oyj on the maintenance services in the Olkiluoto 1 and Olkiluoto 2 nuclear power plant units located in Eurajoki, Finland. The parties have agreed not to disclose the value of the agreement. Caverion Corporation's Interim Report for January−March 2015 will be published on Friday, April 24, 2015 at approximately 9:00 a.m. Finnish time (EEST). The stock exchange release and presentation materials in Finnish and in English will be published at that time on the company's website at www.caverion.com/investors. 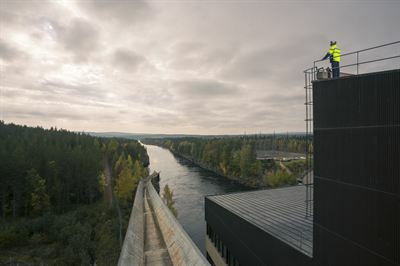 Caverion and PVO-Vesivoima Oy have extended their partnership agreement on the operation, maintenance and development of PVO-Vesivoima’s hydropower plants at Kemijoki and Iijoki rivers in Northern Finland. The agreement, which entered into force in January 2015, is valid for three years and covers technical maintenance, managed operations and advisory services. The parties have agreed not to disclose the value of the agreement. Caverion has signed a contract with the general contractor Veidekke AS to deliver all building systems for six new residential buildings for student accommodation in Sogndal, Norway. The delivery includes heating and sanitation, ventilation and air conditioning, electricity and automation systems. In addition to project execution, Caverion is responsible for the design and engineering and project management. The value of the contract is approximately EUR 2.3 million. Caverion has signed two framework agreements for electricity estimated to a total worth over EUR 20 million with the NDEA (Norwegian Defence Estates Agency) Property and facility management (Forsvarsbygg utleie) in Norway. The agreements include project execution and technical maintenance of low voltage for various properties owned by the NDEA. The contracts are for four years, but can be terminated by either party after two years, and are estimated to be worth EUR 5.2 million each year. 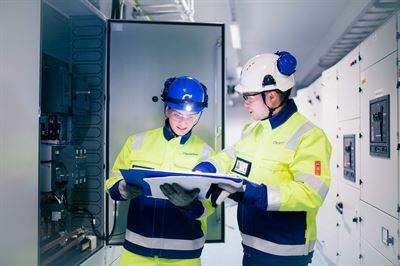 Caverion has signed a contract with Pori Energia Sähköverkot Oy on the delivery of a new 110/20 kV substation to the neighbourhood of Kaanaa in the city of Pori in Finland. The contract includes project management and execution: lead design of the substation, excavation and construction work, equipment deliveries, power line arrangements, cabling, testing, implementation and demolition work of the old substation. Caverion is the main contractor. The value of the contract is not disclosed. Caverion has signed a contract with two real estate companies on the total technical solutions for two office buildings in Helsinki, Finland. 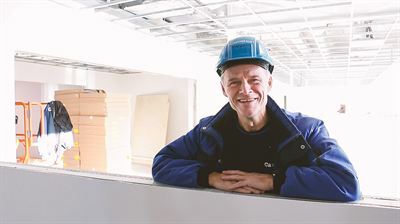 The owner of the real estate companies (KOY Helsingin Hämeentie 33 and KOY Helsingin Vilhonvuorenkatu 6) is Aberdeen Asset Management Finland Oy. The delivery includes heating and sanitation, ventilation and air conditioning, electricity, and automation systems. In addition to project execution, Caverion is responsible for the project management. The total value of the contract is around EUR 5 million. In its meeting held today, Caverion Corporation’s Board of Directors decided on the composition of its Human Resources Committee and the Audit Committee. Caverion Corporation’s Annual General Meeting, which was held in Helsinki today on March 16, 2015, adopted the Financial Statements for the year 2014 and discharged the members of the Board of Directors and the President and CEO from liability. In addition, the Annual General Meeting resolved on the payment of dividends, the composition of the Board of Directors and their remuneration, the election of the auditor and its remuneration as well as authorised the Board of Directors to decide on the repurchase of the company’s own shares and share issues. Caverion Corporation is holding its Annual General Meeting today, March 16, 2015 at 10:00 a.m Finnish time (EET) at Messukeskus, Expo and Convention Centre in Helsinki, Finland. 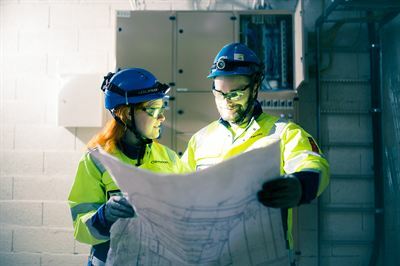 Caverion and Agnico Eagle Finland have signed a contract on the implementation of a district heating network in the Kittilä mine area in Lapland, Finland. The value of the contract is approximately EUR 3.4 million, and it covers design and engineering, project management and project execution. The design and engineering has started and the work is scheduled for completion in the autumn of 2015. Caverion Corporation has received 1,493 own shares (CAV1V). Caverion has signed a contract with the oilfield services company Schlumberger for technical maintenance of production plants and office buildings in Surgut district and Astrakhan, Russia. Caverion has secured a contract with ASFINAG, the public operator of the Austrian motor and expressway network, for delivering tunnel technology for the enclosed section of the A10 motorway near Zederhaus in the federal state of Salzburg. The contract value amounts to around EUR 6 million and includes design and engineering, project management and project execution. 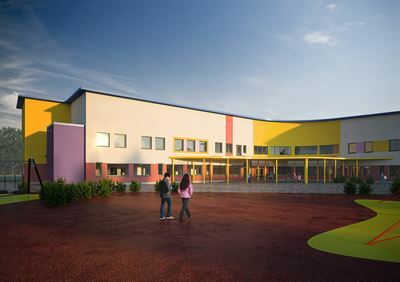 Caverion has signed a contract with the general contractor Kruse Smith AS to install all building systems for the new Rygge Ungdomsskole Middle School in Østfold, Norway. The delivery includes heating and sanitation, ventilation and air conditioning, electricity, information and communication, security and safety, and automation systems. In addition to project execution, Caverion is responsible for the project management. The value of the contract is approximately EUR 8.8 million. 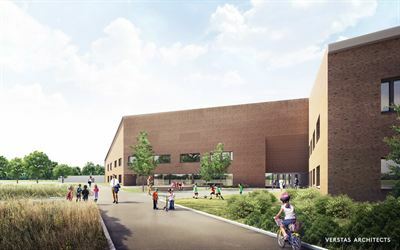 Caverion has signed an agreement with the city of Espoo on the modernization and extension of the Päivänkehrä school as a life cycle project. The project will be carried out in cooperation with YIT. 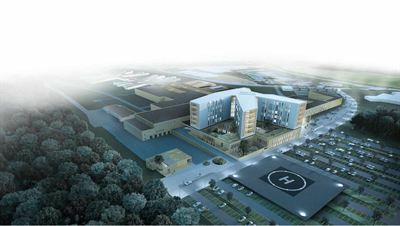 The value of the contract for Caverion is approximately EUR 14 million, and it includes the design and engineering, project execution and project management covering all building systems of the property as well as technical maintenance and managed operations throughout the contract period until the year 2037. Caverion Corporation (ID 2534127-4) has on March 4, 2015 received a disclosure under Chapter 9, Section 5 of the Securities Markets Act, according to which the holdings of Security Trading Ltd, a company controlled by Antti Herlin in Caverion Corporation shares have exceeded the threshold of 1/10 (10%). Exceeding the above mentioned threshold is the result of the purchasing of shares on March 4, 2015. Caverion Corporation has on February 26, 2015 signed an agreement with Eneas Holding AS on the purchase of the Norwegian company Esco Norway AS. Esco Norway is an energy services provider with expertise in EPC contracts (Energy Performance Contracting), BMS (Building Management System), EMS (Energy Management Systems), energy advisory services, and engineering. Caverion has signed a contract with Volkswagen Commercial Vehicles to install ventilation and air conditioning systems for several buildings of the new Volkswagen plant in Wrzésnia, Poland. The value of the contract is approximately EUR 13 million and it covers the design and engineering of the systems as well as project execution in the vehicle assembly hall and office spaces, among others. The work on site will start in March 2015, and will be completed during the third quarter of 2016. Caverion has signed a contract with Swedish Södra Cell AB on the delivery of process piping and insulation of pipe bridges together with steam piping for the Södra Cell pulp mill in Värö, Sweden. The installation will begin in March 2015 and will be completed by April 2016. The value of the contract is not disclosed. Caverion has signed an agreement with the city of Kokkola on the life cycle project of the Torkinmäki school and day care centre. The project will be carried out in cooperation with YIT. The value of the contract for Caverion is approximately EUR 12 million. The designing and planning of the project will commence immediately. Mr. Juhani Pitkäkoski (born 1958, LL.M.) has been appointed as Executive Vice President & CEO, Division Industrial Solutions and member of the Group Management Board of Caverion. In his new role Mr. Pitkäkoski will drive the growth strategy of Division Industrial Solutions, focusing in particular on strengthening Caverion’s position within industrial outsourcing. Mr. Pitkäkoski will start in his new position today on February 9, 2015, and will report to the President and CEO Fredrik Strand. Previously Mr. Pitkäkoski has held the position of the Senior Vice President, Mergers and Acquisitions in Caverion. Notice is given to the shareholders of Caverion Corporation that the Annual General Meeting this year will be held on Monday 16 March 2015 at 10 a.m. Finnish time in the Congress Wing of the Messukeskus, Exhibition and Convention Centre Helsinki, Messuaukio 1, 00520 Helsinki, Finland. The reception of persons who have registered to attend the Annual General Meeting and the distribution of voting slips will commence at 9 a.m. Finnish time. Refreshments will be served from 9 a.m.
Caverion has signed a contract with general contractor A. Enggaard to deliver a managed life cycle project for the new Holstebro police station. The value of the project is EUR 18.8 million, and it includes the total delivery of all building systems in the property, followed by operation, service and maintenance throughout a contract period of 25 years from completion. 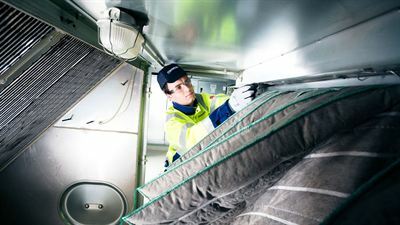 Caverion and airline company Finnair have signed an agreement on the technical maintenance and managed operations as well as advisory services of Finnair’s properties in Finland. The agreement includes over 30 Finnair sites, totalling about 170,000 m2, in the Helsinki-Vantaa airport and its immediate vicinity. The parties have agreed not to disclose the value of the agreement. Caverion has signed a contract with general contractor Skanska Husfabrikken AS to install all building systems, including heating and sanitation, ventilation and air conditioning, electricity, ICT, security and automation systems for a temporary school building in Bergen, Norway. The value of the project is approximately EUR 2 million and it covers design and engineering, project management and execution. The work on site is already underway and will be completed in July 2015. Caverion has secured a contract for technical maintenance of the shopping and entertainment centre GAGARINSKY in Moscow, Russia. Technical maintenance is provided for all building systems: heating, sanitation, ventilation, air-conditioning, cooling, electricity, information and communication, security, safety and automation systems. The contract started on January 1, 2015 and it is valid for one year at a time. The parties have agreed not to disclose the value of the contract. Caverion Corporation's Financial Statements Bulletin for 2014 will be published on Thursday, January 29, 2015 at approximately 9:00 a.m. Finnish time (EET). The stock exchange release and presentation materials in Finnish and in English will be published at that time on the company's website at www.caverion.com/investors. 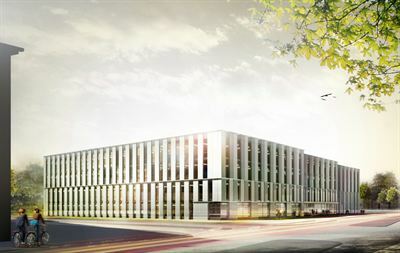 Caverion has secured a contract with general contractor Betonmast Trøndelag AS to install heating, sanitation, ventilation, air conditioning, electricity, security, safety and automation systems for the new Technology Building at Sør-Trøndelag College (HiST) in Norway. The value of the project is approximately EUR 9 million and it covers design & engineering, project management and execution of all building systems in the property. The work on site is already underway and will be completed in December 2016. Caverion Corporation has received 2,102 own shares (CAV1V). Mr. Niclas Sacklén (45), MBA and B.Sc (Eng), has been appointed as Group Senior Vice President and CEO of Division Eastern Europe and member of the Group Management Board of Caverion. He will start in his new position on June 1, 2015 at the latest, and will report to the President and CEO Fredrik Strand. Caverion and Fingrid, company taking care of the nation-wide high-voltage grid in Finland, have signed an agreement on the basic maintenance of substations in Finnish Lapland’s main grid region in 2015–2017. The technical maintenance agreement covers the basic maintenance of substations such as equipment service and substation inspections. 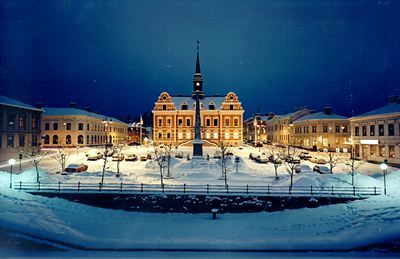 Fingrid has divided its main grid into eight regions, of which the Lapland’s region is the northernmost. 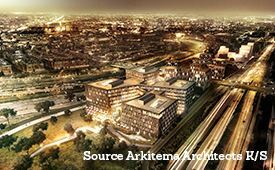 Caverion has secured a contract with the real estate developers Arcona and Veidekke Bygg Stockholm to install electricity, heating, sanitation, ventilation and air conditioning to the new education center, Technology for Health, at Huddinge Hospital in Stockholm, Sweden. The value of the contract is approximately EUR 6.8 million and it includes advisory services, project management and execution. The work on site is already underway and will be completed in May 2016. Caverion has secured a contract with general contractor Ove Skår AS to install ventilation, air conditioning, electricity, security, safety and automation for a new office building in Sarpsborg, Norway. The total value of the contract is EUR 2.3 million and it includes design and engineering, project management and execution. The work on site is already underway and will be completed in January 2015. Caverion has secured a contract with general contractor Skanska Sverige to install heating, sanitation, ventilation, air conditioning and sprinklers for SL's new Fredriksdal bus depot in Stockholm. The total value of the contract is approximately EUR 5.4 million and it includes project management and execution. The work on site is already underway and will be completed in 2017. Caverion has secured a contract with technology company HOERBIGER to install heating, sanitation, ventilation, air conditioning, cooling and automation to their new central HOERBIGER site in Vienna, Austria. The total value of the contract is over EUR 6 million and it includes project management and execution. The work on site is already underway and will be completed in spring 2016. Caverion has secured a contract with The Deutsche Rentenversicherung Bund (German statutory pension insurance scheme) to install heating, cooling, sanitation, ventilation, security and safety including fire protection in one of their existing administrative buildings in Berlin. The value of the project is about EUR 15.6 million and it covers project management and execution. The work on site is already underway and will be completed in the beginning of 2016. Caverion has entered into a contract with the pharmaceutical group Baxter in the framework of a consortium with Molin. 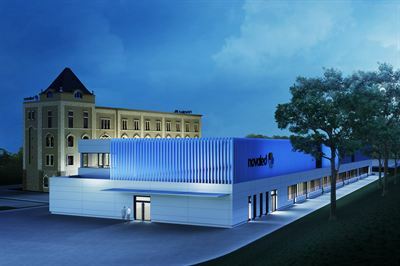 Caverion is to install compressed air, heating, steam, air conditioning, sanitation and sprinkler systems for the industry client Baxter’s production plant in Krems, Austria. The total value of the contract is over EUR 10 million and Caverion’s part covers project management and execution. Caverion has already started the work on site and will be completed in June 2015. Caverion’s transformation towards a competitive and coherent service and project company in ongoing throughout the Group. Common operating models have been created, and the organisational structures are also being reviewed based on them. During the autumn, Caverion Suomi, the subsidiary of Caverion Corporation in Finland, has held statutory employer-employee negotiations regarding restructuring of the company to ensure competitiveness and profitability in a changing market situation. Caverion will publish the Financial Statements bulletin for 2014 on Thursday, January 29, 2015. Annual Report 2014 including the Financial Statements will be published during week 8/2015, at the latest. Caverion has secured a contract with Austrian hotel group Parkhotel Altaussee GmbH to install heating, sanitation, cooling, ventilation, swimming pool water technology, fire extinguishing and control systems at hotel Viva Salis in Altaussee, Austria. The value of the project is about EUR 4.5 million and it covers design and engineering, project management and project execution. The work on site is already underway and will be completed in spring 2015. 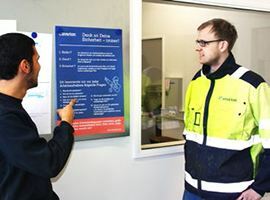 Caverion and Lemminkäinen have signed an agreement on HVAC work to be carried out in an underground parking facility “Kivisydän” constructed in the centre of Oulu, Finland. The project execution includes the installation of heating and sanitation systems, ventilation, air conditioning and cooling systems. The contract is worth approximately EUR 3.4 million. Caverion Corporation's Interim Report for January−September 2014 will be published on Friday, October 31, 2014 at approximately 09:00 a.m. Finnish time (EET). The stock exchange release and presentation materials in Finnish and in English will be published at that time on the company's website at www.caverion.com/investors. Caverion has secured a contract with real estate developer Actris Henninger Turm GmbH & Co. KG to install heating, sanitation, cooling, ventilation, safety and security as well as automation and electricity to the new Henninger Tower in Frankfurt am Main, Germany. The value of the project is about EUR 33 million and it covers project execution. The work on site is scheduled to start in December 2014 and will be completed approximately by the end of 2016. Caverion has secured a contract with a German automobile manufacturer to install ventilation and air conditioning systems for the expansion of one of their factories in Germany. The value of the contract is EUR 5.5 million and it covers project execution. The work on site is already underway and will be completed in February 2015. Does your company have an energy strategy? Caverion will today hold its Capital Markets Day in Stockholm, Sweden. The event focuses on Caverion’s strategy and service offering. There are no changes to the previously communicated financial targets, market outlook or guidance for 2014. The Finnish Fire Protection Fund (Palosuojelurahasto) has given its 2014 Innovation Award to Pirkanmaa Safety Cluster for its novel apartment-specific fire extinguishing equipment intended in particular for apartments for people with special needs. Caverion was one of the main developers of the system. Caverion has been awarded an agreement worth EUR 3.2 million to supply heating and sanitation, ventilation and air conditioning, electricity, security and safety as well as automation systems for the new Arendal police station in South Norway. In addition to installing all technical systems in the property, Caverion will be responsible for design & engineering, project management and project execution. Caverion has secured a contract with the general contractor Ed. Züblin AG to install ventilation, air conditioning and sanitation systems to Aquis Plaza, a new shopping center under construction in Aachen, Germany. The value of the project is over EUR 5.5 million and it covers project management and project execution. With the contract, Caverion and Ed. Züblin AG are continuing their long-term partnership. Olle Jonsson (49) has been appointed as Group Chief Information Officer (CIO) at Caverion as of November 1, 2014. In this position he will be responsible for leading Caverion’s global IT function, reporting to Senior Vice President, Group Development Sakari Toikkanen. Spar European Shopping Centers (SES) has entrusted Caverion with the project execution of all technical systems, such as heating and sanitation, ventilation and air conditioning, as well as electrical installation, for the new building of the “Weberzeile” shopping centre in Ried, Austria. The comprehensive electrical installation of the shopping centre includes both security technology and measurement and control technology. The petroleum refinery Total Raffinerie Mitteldeutschland GmbH and Caverion are continuing their partnership, which has been ongoing for about five years. The companies have renewed the contract for technical maintenance and managed operations at Total´s Leuna site in Germany. The value of the deal is not disclosed. 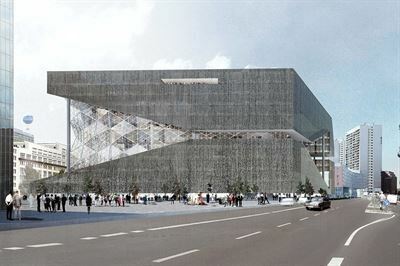 Caverion and Skanska have signed a contract on electricity work at the Valkea shopping centre in Oulu, Finland. The value of the contract is EUR 3.5 million. The real estate developer and owner of the shopping centre is Osuuskauppa Arina. Mr. Werner Kühn (55) has been appointed as Group Executive Vice President and CEO of Division Germany and member of the Group Management Board of Caverion Corporation. Mr. Kühn will start in his new position on February 1, 2015 at the latest. He will report to the President and CEO Fredrik Strand. Caverion will deliver ventilation solutions to the new premises of the German Center for Neurodegenerative Diseases (DZNE) in Bonn, Germany. The contract is worth EUR 8.7 million and it includes project execution and technical maintenance for the next five years. Work has begun in June and is scheduled to be complete in the beginning of 2016. Caverion Corporation (ID 2534127-4 ) has on July 22, 2014 received a disclosure under Chapter 9, Section 5 of the Securities Markets Act, according to which the total holdings of Antti Herlin and the companies controlled by him, Holding Manutas Ltd and Security Trading Ltd, in Caverion Corporation shares have exceeded the threshold of 1/10 (10%). Exceeding the above mentioned threshold is the result of the purchasing of shares on July 22, 2014. The Board of Directors of Caverion Corporation has resolved to acquire a maximum of 500,000 company's own shares based on the authorization given by the Annual General Meeting on March 17, 2014. The shares will be purchased to accomplish and hedge the long-term share-based incentive plan 2014−2016 for the company’s key senior executives. 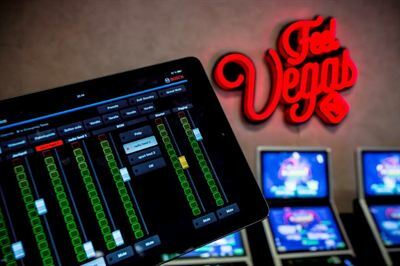 There is a weighty financial reason for the directed acquisition, as the purpose of the incentive plan is to encourage reaching the financial targets of the company. Mr. Thomas Lundin (54) has been appointed as Group Executive Vice President and CEO of Division Sweden and member of the Group Management Board of Caverion Corporation. He will report to the President and CEO of Caverion Corporation Fredrik Strand. Lundin will start in his new position on January 15, 2015 at the latest. Caverion has signed a contract on technical maintenance and managed operations with Germany's leading engine manufacturer for civil and military aviation MTU Aero Engines AG. The agreement covers all technical systems of MTU’s headquarters in Munich including heating and sanitation, air conditioning, refrigeration and ventilation, building automation and electricity. The agreement will come into force in July 2014. The value of the deal is not disclosed. Caverion Corporation lowers its guidance announced in January 2014 regarding EBITDA for 2014. Caverion now estimates that the Group’s EBITDA for 2014 excluding non-recurring items will be below the previous guidance and will remain at the previous year's level (EBITDA excluding non-recurring items in 2013: EUR 81.7 million). The company repeats its previous guidance regarding revenue. Caverion Corporation's Interim Report for January−June 2014 will be published on Tuesday July 22, 2014 at approximately 09:00 a.m. Finnish time (EEST). The stock exchange release and presentation materials in Finnish and in English will be published at that time on the company's website at www.caverion.com/investors. 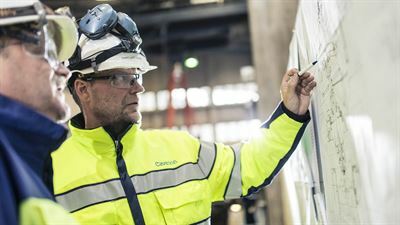 Caverion and Fortum have entered into an agreement on installation work to be carried out on the steel structures, pipelines and also electrical and automation systems in the cooling towers of the Loviisa nuclear power plant. Caverion will be responsible for the execution of the project, which has a value of over EUR 2 million. Caverion has been awarded a contract worth EUR 3.5 million to deliver a total technical solution for the BW Tower office building, parking garage and robotic parking garage. 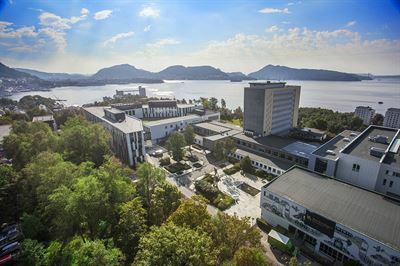 Caverion has been awarded a contract worth almost EUR 11 million to deliver a total technical solution for an office building in Stavanger, Norway. The agreement includes all technical systems in the property, including heating and sanitation, ventilation, air-conditioning, cooling, electricity, ICT, security and safety, and automation, among others. 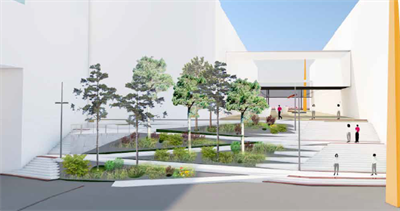 Caverion will deliver total technical solution for the new Levanger Junior High School in Central Norway. The contract includes heating and sanitation, ventilation and air conditioning, electricity, information and communication services as well as security and safety and automation. Caverion is responsible for design & engineering, project execution and project management. The contract is worth EUR 3.3 million. Caverion is delighted to invite analysts, institutional investors and media representatives to its Capital Markets Day in Stockholm, Sweden. The event will take place on Wednesday, September 10, 2014 at approximately 9 a.m.−16 p.m. local time (CEST), preceded by a welcome dinner the evening before. IVA’s Conference Center in Stockholm city center (address: Grev Turegatan 16) will serve as the venue for both the dinner and the seminar. Caverion has signed an agreement on services related to increasing the power capacity of Kemijoki Oy’s Seitakorva hydropower plant. The project includes the renewal of the plant’s machinery and related electricity and automation systems and covers project management and project execution. As the main contractor in the project, Caverion is responsible for design of overhauls, industrial installations and management on site, among other tasks. Caverion has signed a contract of EUR 4.8 million with general contractor Veidekke on sanitation project execution for the new Sporveien metro maintenance depot. The agreement includes the installation of plumbing in four buildings in Avløs outside Oslo. Maintenance depot’s total surface area is ​​16,000 square meters and it is used for parking, servicing and maintaining the metro carriages. Caverion's Board of Directors has approved a long-term share-based incentive plan 2014−2016 for the company’s key senior executives. In total, the plan will cover approximately 40 persons. Caverion Corporation (ID 2534127-4) has on May 19, 2014 received a disclosure under Chapter 9, Section 5 of the Securities Markets Act, according to which the holdings of Security Trading Ltd, a company controlled by Antti Herlin, in Caverion Corporation shares have exceeded the threshold of 1/20 (5%). Exceeding this threshold is the result of the purchasing of shares on May 19, 2014. Caverion has signed an electricity project execution agreement with Norwegian National Rail Administration (Jernbaneverket) to deliver both high and low voltage electrical systems to the upcoming Høvik station and the Lysaker–Sandvika line renovation project. Project execution started in February 2014 and the aim is to complete the project in January 2015. The value of the contract is over EUR 6 million. Caverion and the real estate administration of the Hospital District of Northern Savo have signed an agreement on the HVAC work and design management for the Säde building of Puijo Hospital. The value of the agreement is approximately EUR 4 million. The installation work will be fully completed in summer 2015.